Photograph by, and copyright of, the Author. 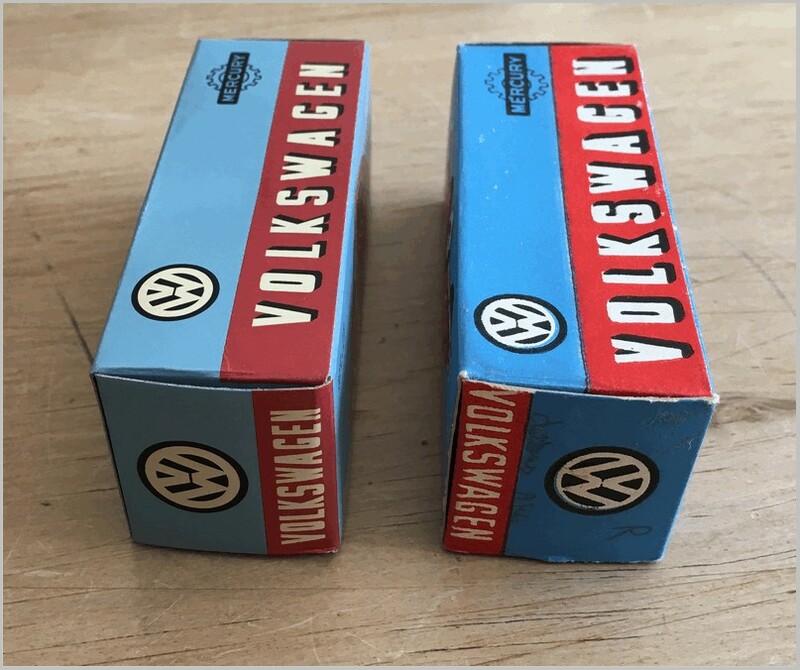 Selling model cars on eBay is often frustrating with a lot of time spent listing them and then you can get no bids. But on the other hand, it can also be helpful to search what is listed, sometimes rare birds will be on offer. 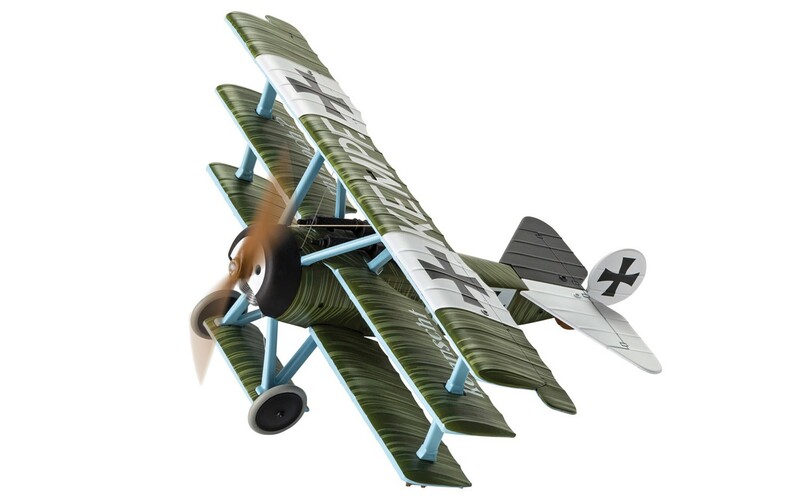 It is important to make sure that you search for items from all other countries on eBay as sometimes you find just what you want outside your home country. 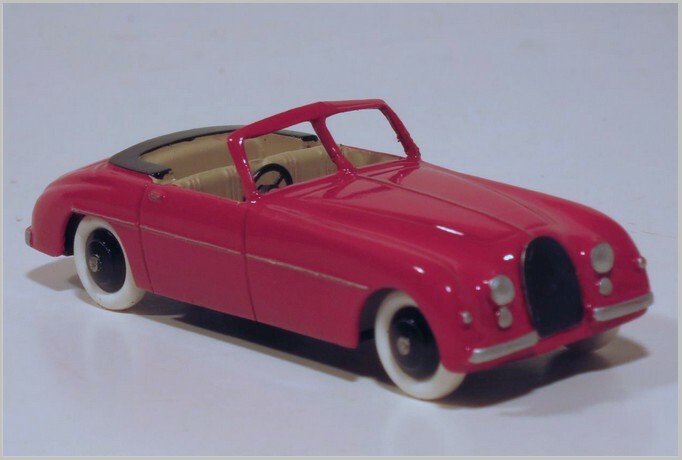 I searched eBay for items sold from France including the string “Bugatti” and besides listings of some common items there was a listing of a special model of the Bugatti Type 101503 Cabriolet. 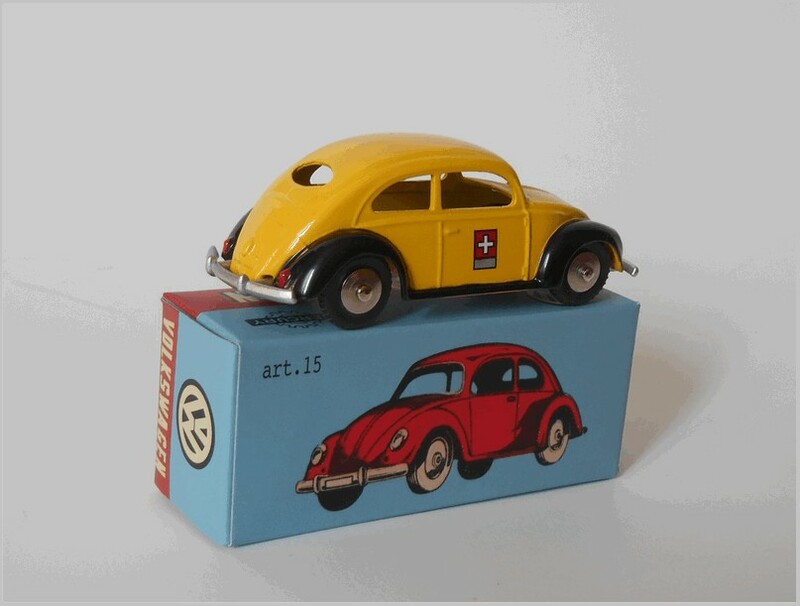 This model was a special issue from the French Dinky Toys Collectors club, CDF60 from 2009. 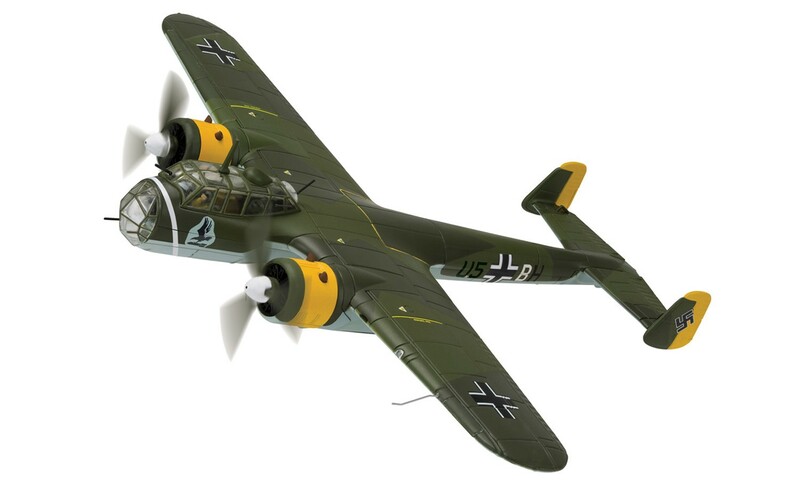 A second bidder gave one bid, but did not continue, so I won the auction for the model at an acceptable price. 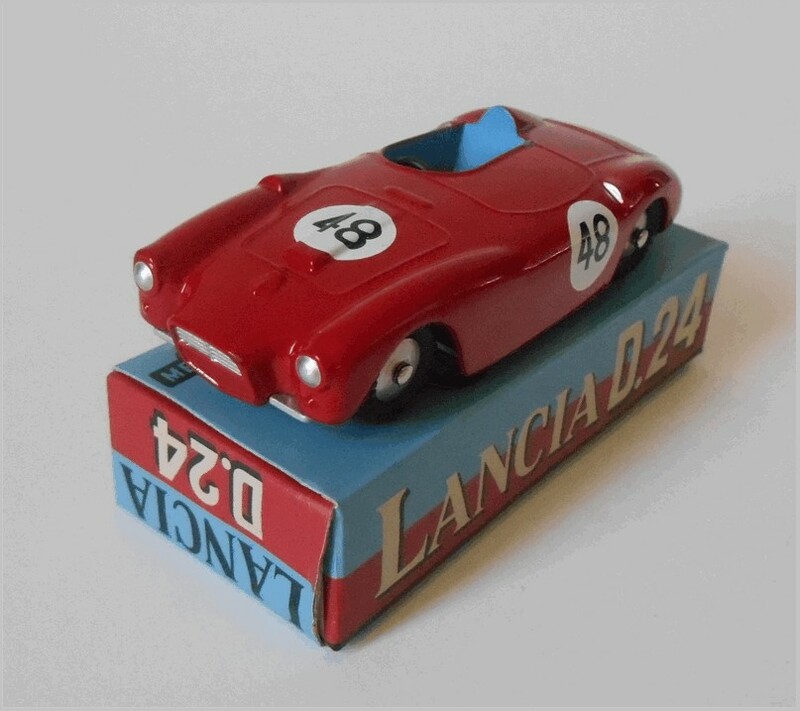 The model took six days to make its way from France, and is without its original box, but is otherwise in mint condition. 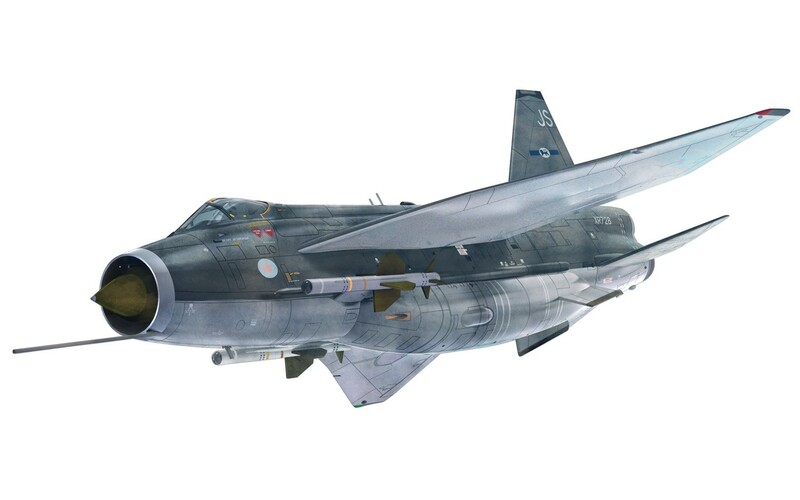 The finish is like typical early Dinky models and the scale is 1:48. 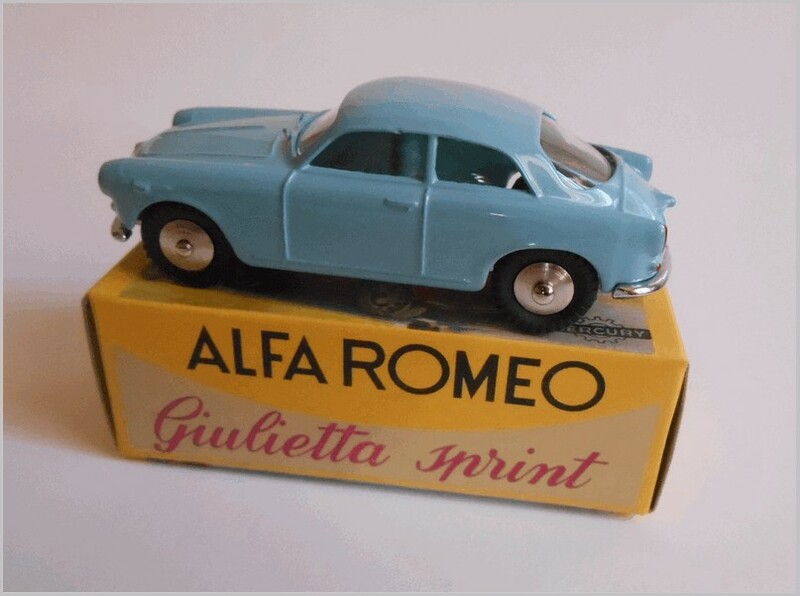 Finally a new rare bird in the Bugatti department of my model car collection! Photographs are taken by, and copyright of, the Author. 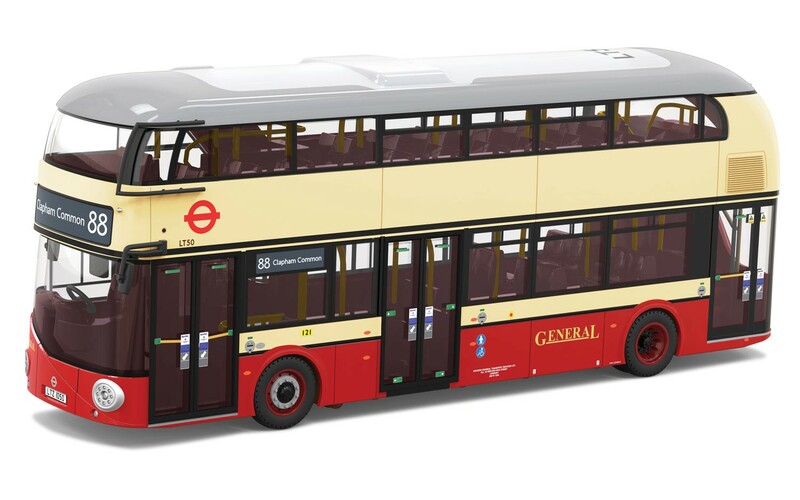 I have just received the new Ruby Toys AEC Regal bus, the sister of their Leyland Tiger which was released earlier in 2017 [See photograph at base of article]. The real vehicles, classified 15T13, were new in 1948 and the very last of London Transport’s large T class, which had originated in 1929 and encompassed a wide variety of chassis specifications and bodywork. All were AEC Regal single-deckers, but the class had little else in common across its many variants. The most famous members were probably the handsome 10T10 Green Line coaches of 1938, which have been very nicely modelled by EFE. The 15T13s had rather plain bodywork by Mann Egerton, and the casual observer probably wouldn’t have noticed much difference in style between this 1948 bus and its 1929 predecessor. The mechanical specification was a different matter however. The petrol engine and crash gearbox had given way to a large 9.6 litre diesel, fluid flywheel and preselector gearbox as fitted to the RT double-decker, and air brakes now provided the stopping power. The old-fashioned looks would appear even more antiquated after a few years, as operators turned to modern underfloor-engined designs which eliminated the half cab and exposed radiator. Withdrawals of these fine buses started as early as 1956, as falling demand meant that London Transport found itself with more buses than it needed. Many were sold to Sri Lanka for further service. The last London survivors managed to hang on until 1962 and 1963, which was about the expected lifespan for a bus at that time. 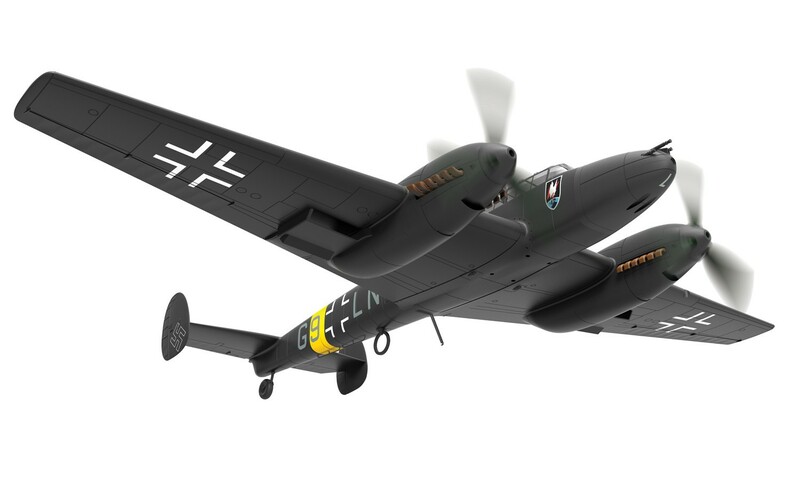 The model is imposing in its 1:48 scale, and has a simple Dinky-type charm about it. 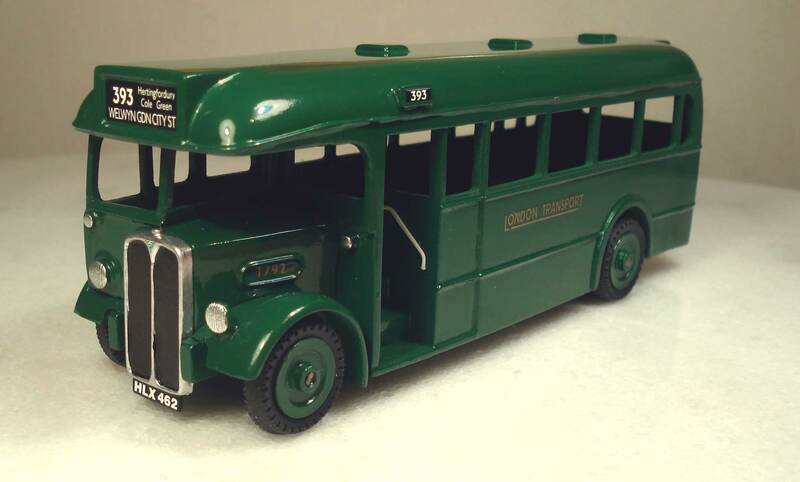 Apart from the radiator, all that differentiates this from the previous Ruby Toys Leyland is the colour, as the AECs ran in London Transport’s country area and were accordingly painted Lincoln green. 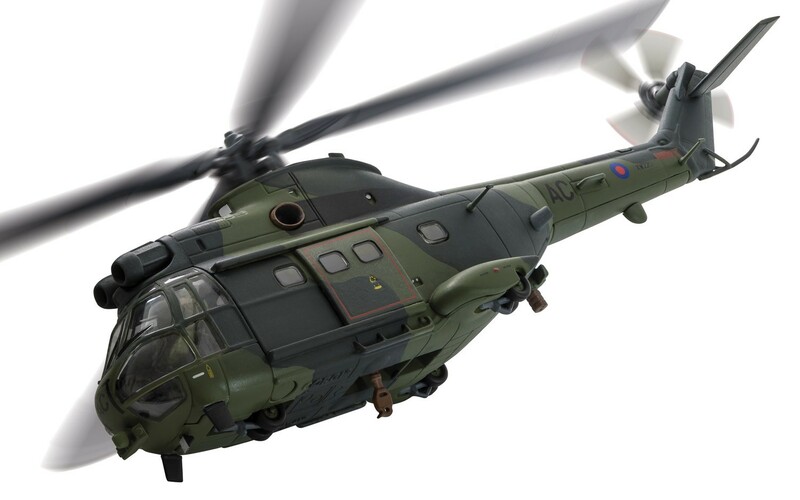 The real AECs, unlike the Leylands, benefitted from a door for their more rural operations, but this has not been modelled. 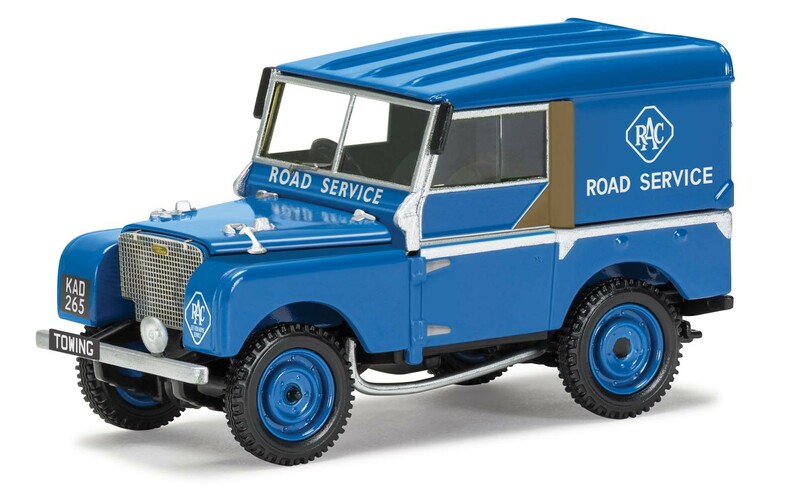 I was a little disappointed, but I can understand the need for compromise with the casting, which was also a characteristic of the real Dinky Toys! 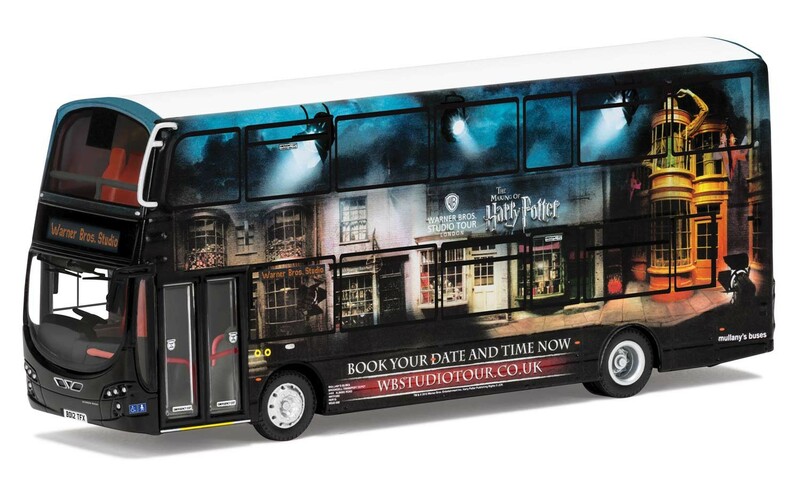 Of course, any 1:48 scale passengers may take a dimmer view of this lack of protection from draughts. 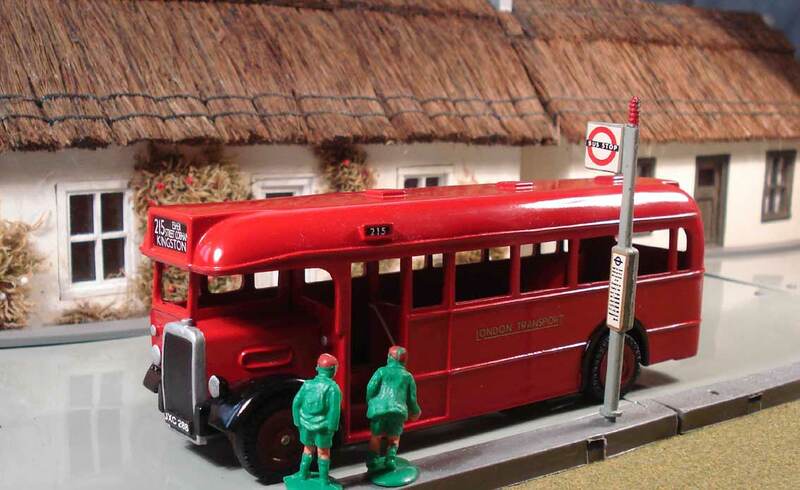 When new the buses had white window surrounds, but they spent most of their lives in all-over green as portrayed here. Relief was provided by a thin cream band just below the windows, but the omission of this on the model isn’t a problem for me. 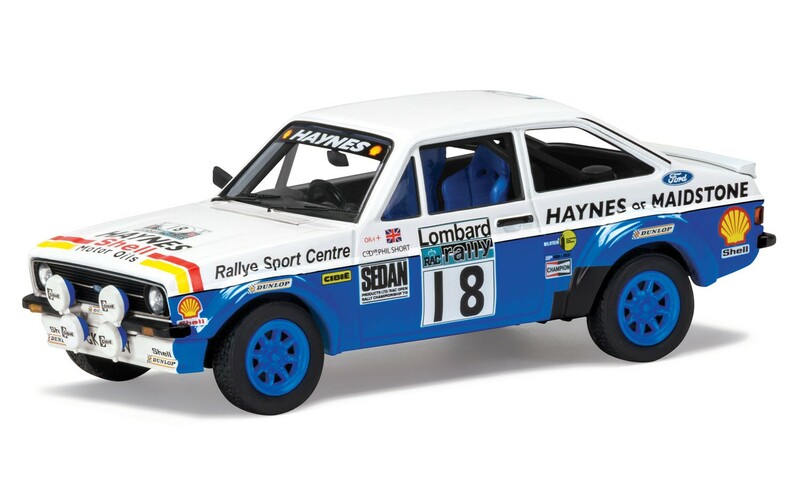 (KS) There has been some discussion on the history of Scottoy online recently, so we have decided to republish this older article from Model Auto Review 208, published 7 Dec 2006. The Editors are unsure if Scottoy continued much past 2006; certainly there are items in the proposed production list for TelModel below which we can find no trace of being produced. The Editor and Publisher of Model Auto Review, Rod Ward, contacted Jonathan‘s ex-partner, Antonio, a number of times after Jonathan left to concentrate on his industrial fasteners business (bolts and screws). See article below. After no real replies, it was assumed that Antonio was unable to find the time or enthusiasm to continue the development of Scottoy on his own. Certainly nothing more was produced to Rod or others’ knowledge. Rod Ward’s opinion at the time was that they were wasting their time with the TelModel idea – the models fell between two stools. 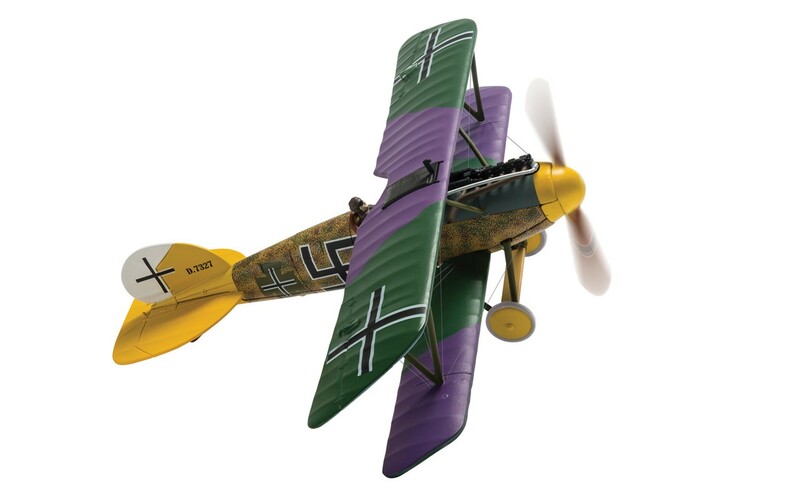 They were neither authentic reproductions of old toys, nor were they high-quality scale models, up to current quality standards. Rod’s store, Modelauto, had great trouble selling the TelModel Fiat 850s – the final stocks having to be disposed of on eBay at very large discounts. 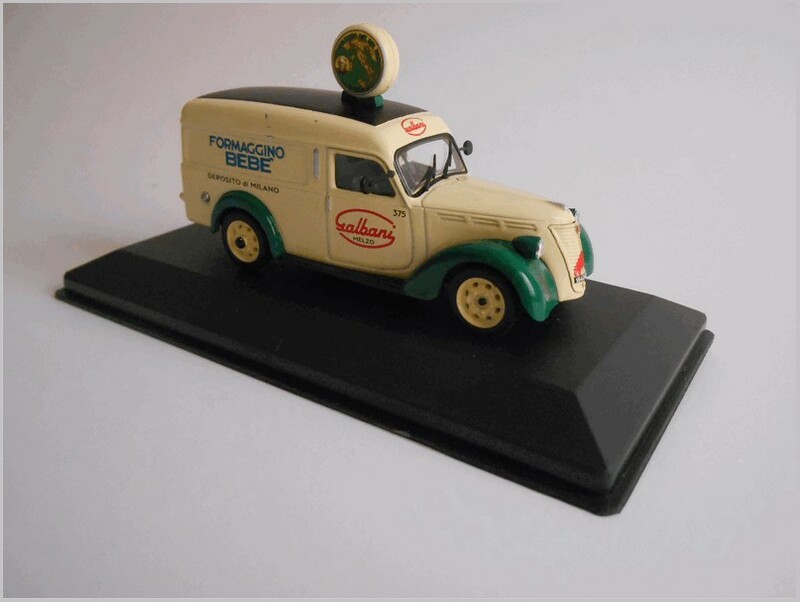 The best-selling Scottoy models were initially produced to order for Modelauto – the replica scooters. 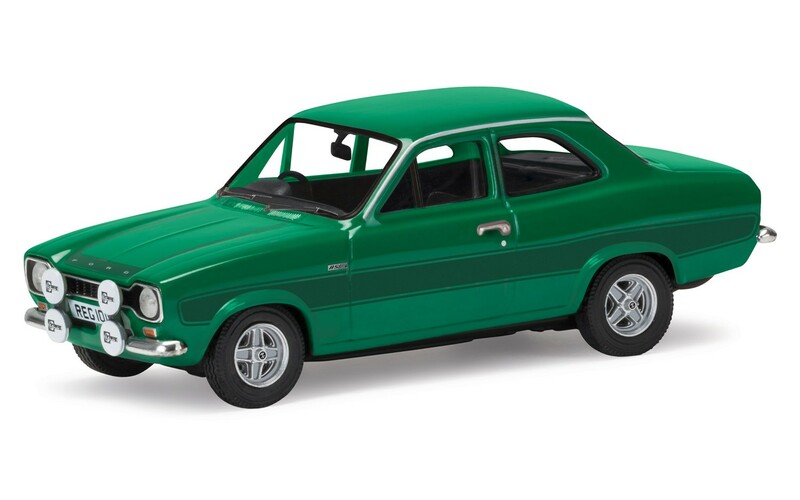 Modelauto sold many hundreds of these and then Scottoy got large orders for them from other distributors as well. 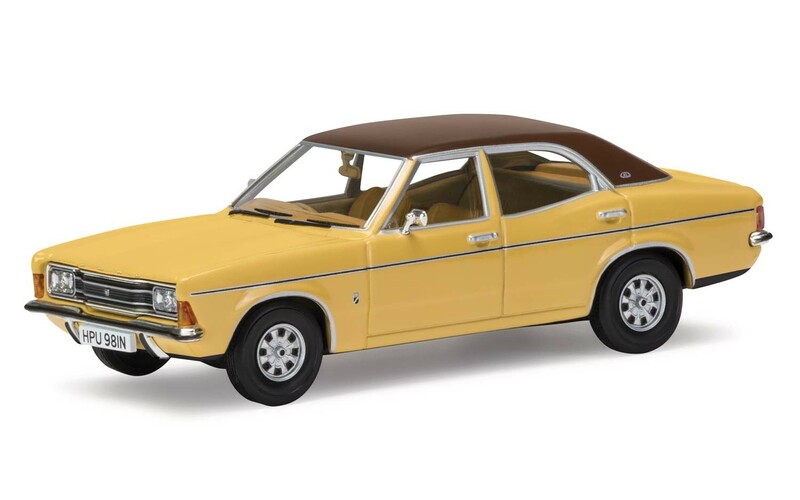 Rod Ward would have liked them to produce the Costa Line cruise ships, of which Mercury had made a very interesting 1:1200 scale range. The Costa family were clients of Jonathan’s partner, so they could have obtained permission to use their funnel logo, etc. 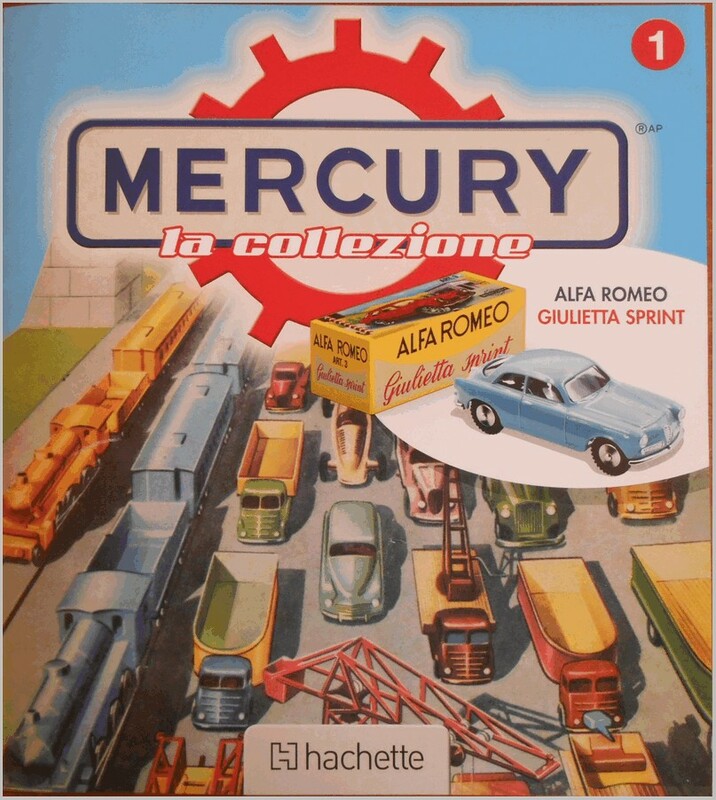 But Rod believes that the two partners were motivated by their passion for the old Mercury toy cars, and that they were not at all interested in making ships even though the scooters Rod had encouraged them to make had been such a success. 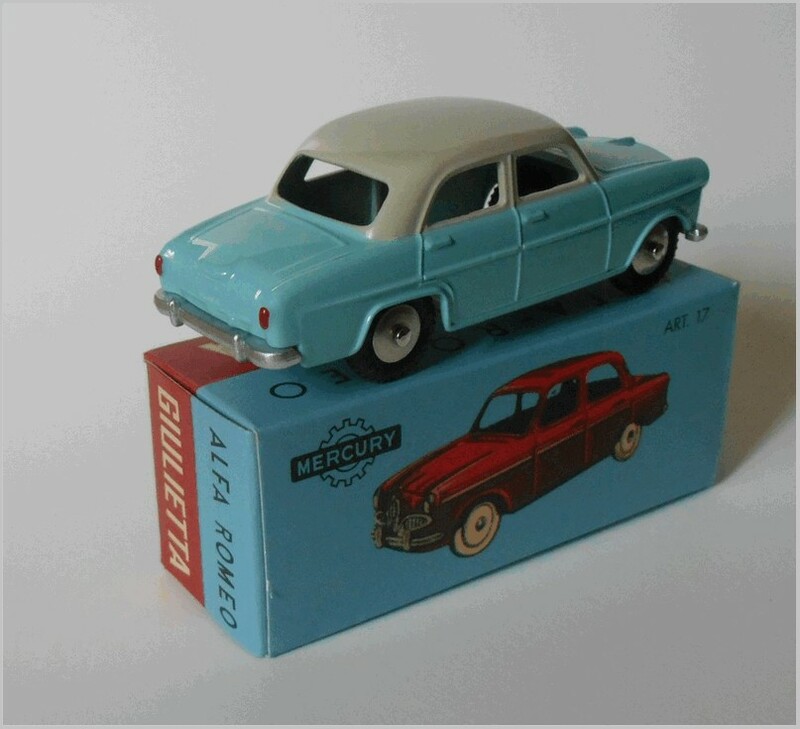 The partners in Scottoy had started out making copies of early Mercury toy cars for their own collections, hence their lack of interest in the scooters or ships. 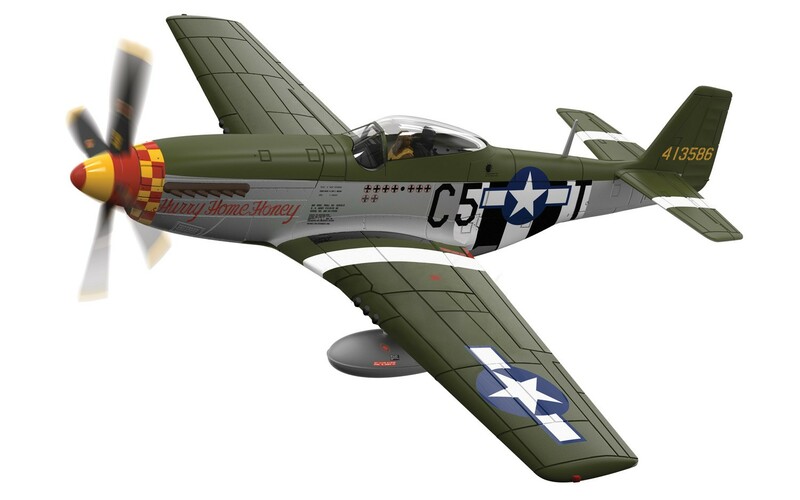 Rod also asked if they would make copies of the very collectable Mercury aircraft, but they were similarly uninterested, unfortunately. Scottoy was not really a ‘business’ venture, in which someone would choose the most profitable products to make. They were really just an extension of the two owners’ collecting hobby, so unless they found items interesting for their own collections, they wouldn’t make them. Written by Jonathan Scott in late 2004. Now published to mark Jonathan’s departure in 2006 from the firm he co-founded. Scottoy has reached ten years old. Incredible! I would never have believed that I would ever be able to say that, when I began the long and difficult road that has led to today. 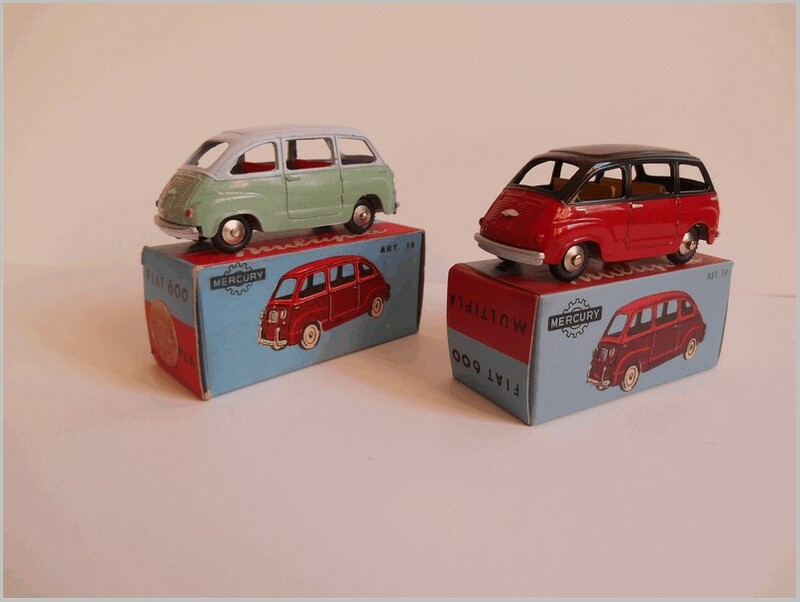 Here is the story of Scottoy: Antonio Pezzini, a dentist from Genoa, and Jonathan Scott, maker of industrial fixings from Genoa, later Varese, had both been collectors since childhood. 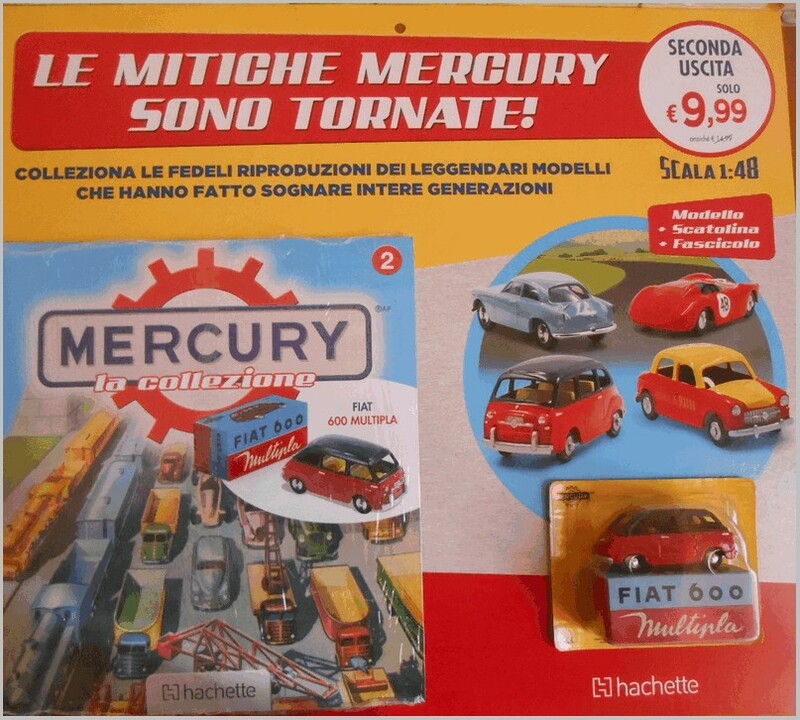 In 1993 they saw a demand for replacement parts for obsolete Italian diecast models, especially Mercury, like the Dinky and Corgi parts sold in England. Antonio had access to the technology through his work, so their destiny was decided. 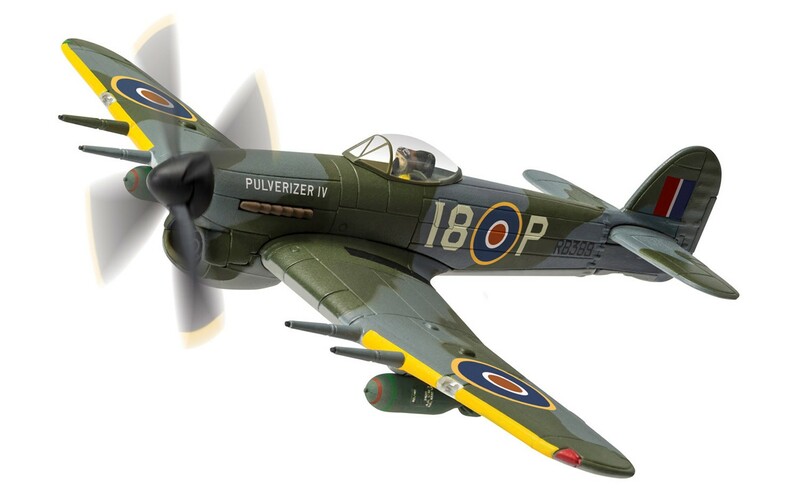 Initially they looked into production methods and registration of the Scottoy and Mercury names, and realised that they could reproduce the entire models in white metal, rather than just the parts. Our first products were shown at the Marco Bossi swapmeet in Turin in 1993 and proved to be of great interest to visitors. 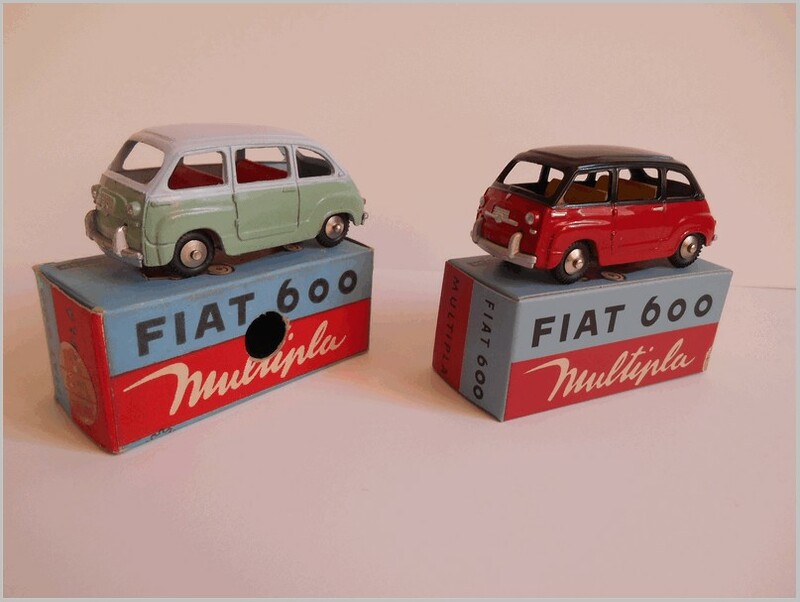 This first batch included the Fiat 600 Multipla, Fiat 1100/103, Alfa Giulietta (never before issued), Fiat 600 and Alfa Romeo 1900. 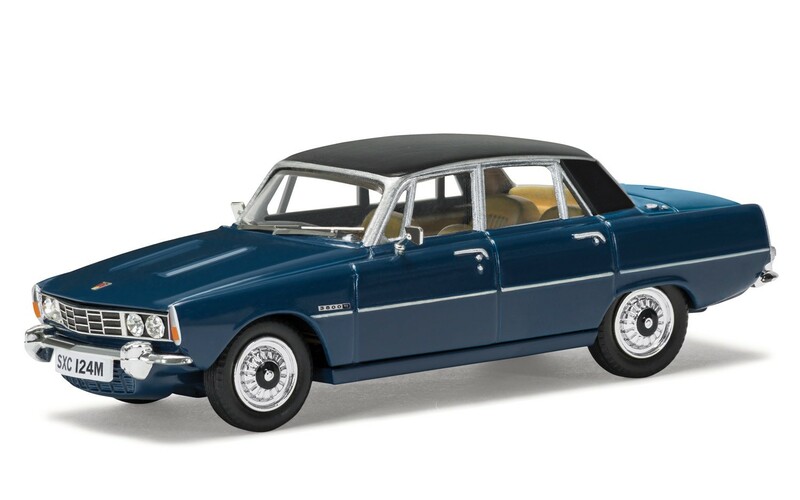 The Lancia Appia 1st series was initially sold exclusively in the UK via Modelauto. From 1996 some models were supplied with windows. 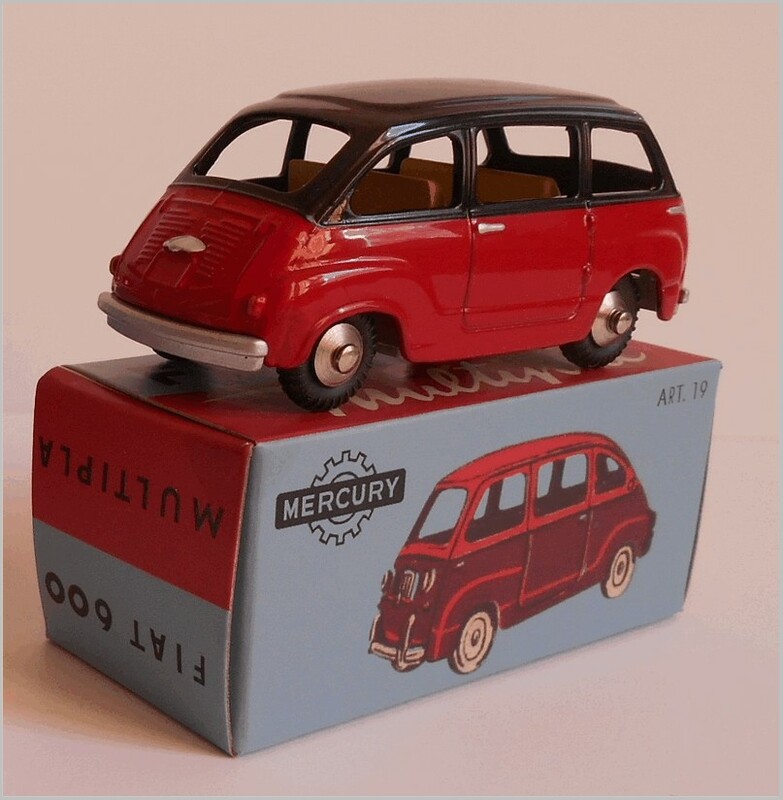 The first Scottoy buyers were mostly Mercury enthusiasts, then marque collectors and one-make club members. 11/PR5 Autobianch Bianchina red-black , green-ivory, grey-lt blue 1996 - 330. First batch sold exclusively in UK and through the Club Bianchina Italia. 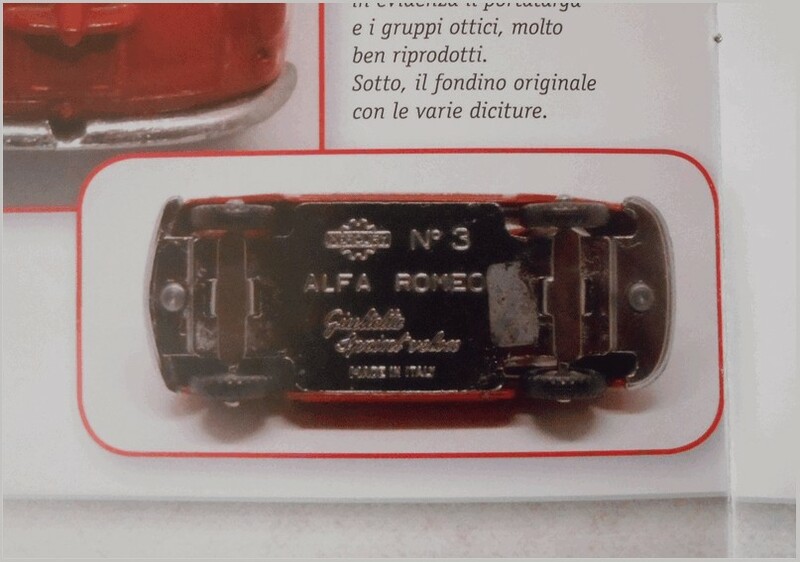 12/24 Fiat 1800 saloon blue-grey, red-ivory, white-black, brown-cream 1996 - 85. Test batch. 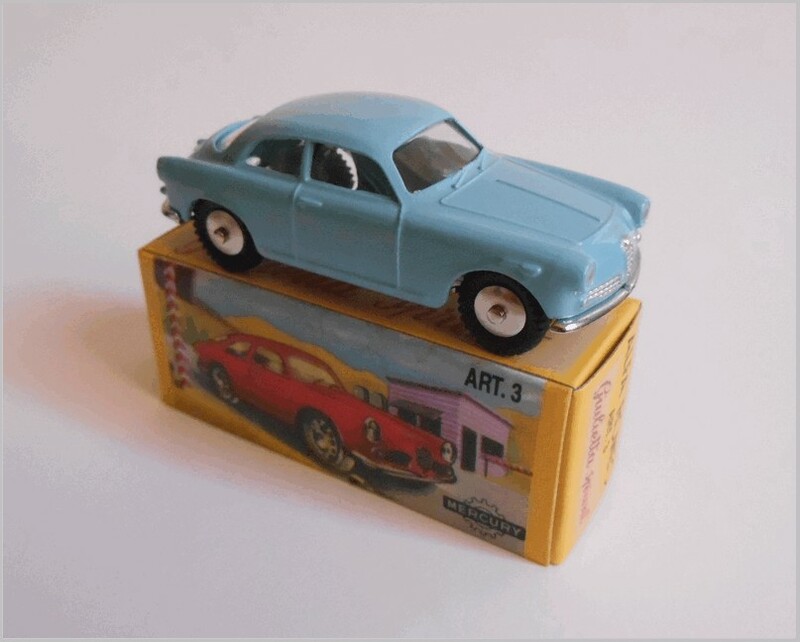 13/36 Lancia Flaminia grey, dark blue, white-ivory 1996 - 60. test batch, some sold to Lancia Club Holland. The second series of the 600 Multipla was on a modified prototype base, a short series for Aquilone in Turin and Bruce Sterling in USA. The 1800, Flaminia and the last Innocenti 950, Sprint and 500 were given windows. Our UK distributor Modelauto (publishers of MAR), asked in Summer 1994 if we could produce a short series of Vespa and Lambretta scooters. So we made an initial series of 200 each type, initially exclusively for the UK. 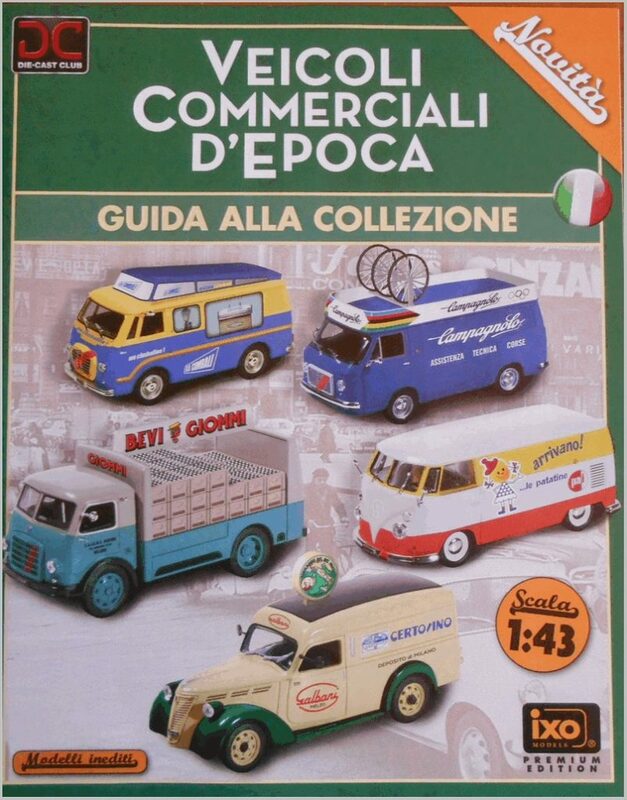 Along with the Ape three wheeler derivation of the Vespa, these were major sales successes in the Scottoy range. 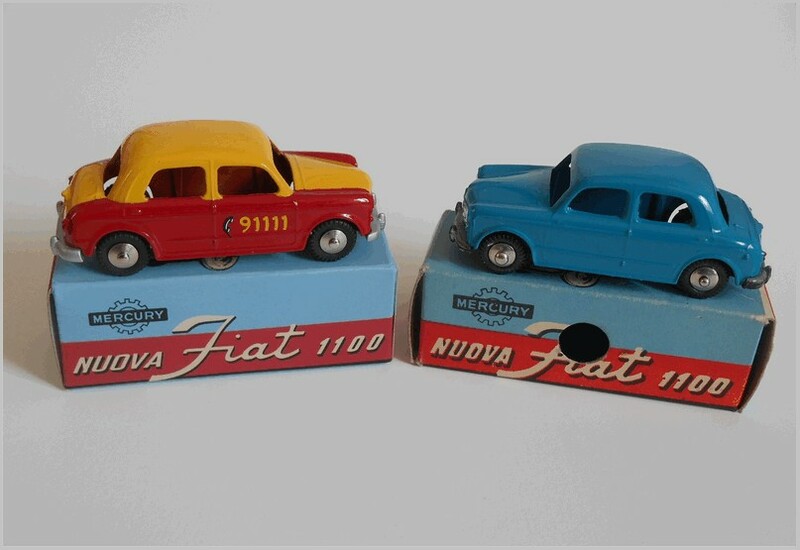 Modelauto had two exclusive versions: pink Vespa and Vespa kit. The last scooters were in 1998, the Lambretta 125D with spare wheel, and in 2000 the Lambretta 125LC with enclosed engine compartment. 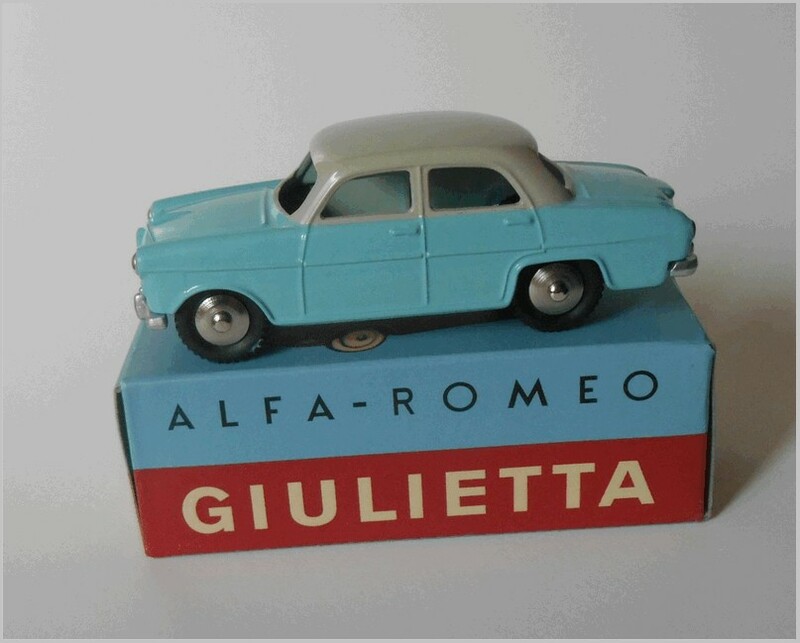 When the frenzy of scooter production abated, we returned to cars, but we had production problems when making the Fiat 1800 (which turned out well) and the Lancia Flaminia, which went to Club Lancia Holland in 1994, and was recast in 2001. Also in this period I moved from Genoa to Varese. To help with production we enlisted the help of others, first Enrico Niccolini of Off ’43 models, Angelo Bellotti, an associate of Mr Niccolini and proprietor of the Giocher range, and pattern maker Faustino Mattei. 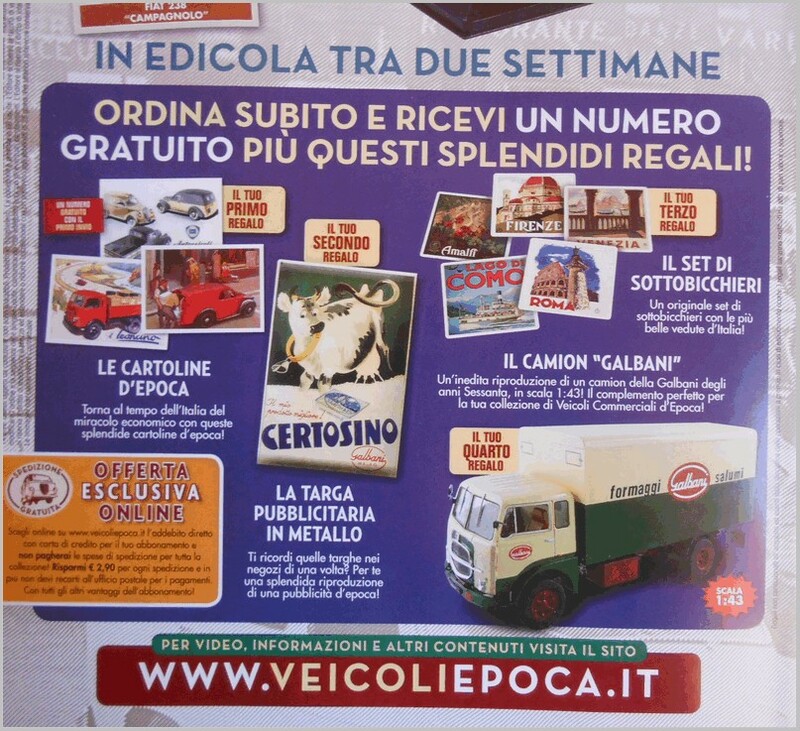 From 1996 our main distributor was Miniminiera, Piergiorgio and Luca Casati. 19 Lancia Appia 1st series Cream, light grey, black, green 2000 - 185. From 2000 with windows. 33? Fiat 600 Polizia Stradale olive 2004 - 80 with windows and interior. Following the scooters, in 1997 we made the Ape (bee) three wheeler, a replica of the Mercury in its open version; but we wanted a box body as well. This was crafted by Antonio Pezzini using materials he uses in his dental practice. Our first Ape promo livery was for Brill, then Abarth plugs, plus a standard version. 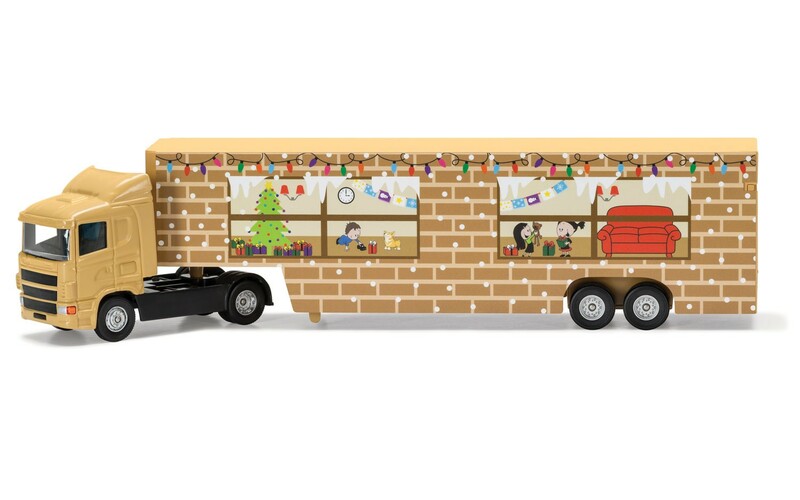 For BEA srl Mr Antonini had a Christmas edition for his customers, the first in a long series. Miniminiera ordered others, in Gaggia, Campari and Martini liveries. 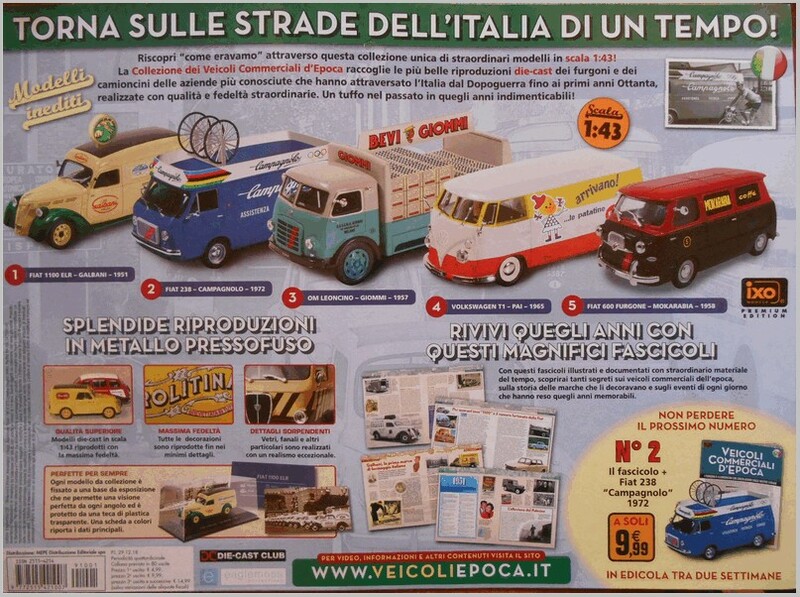 Other promos included Take-off, Foritex and Piaggio France. 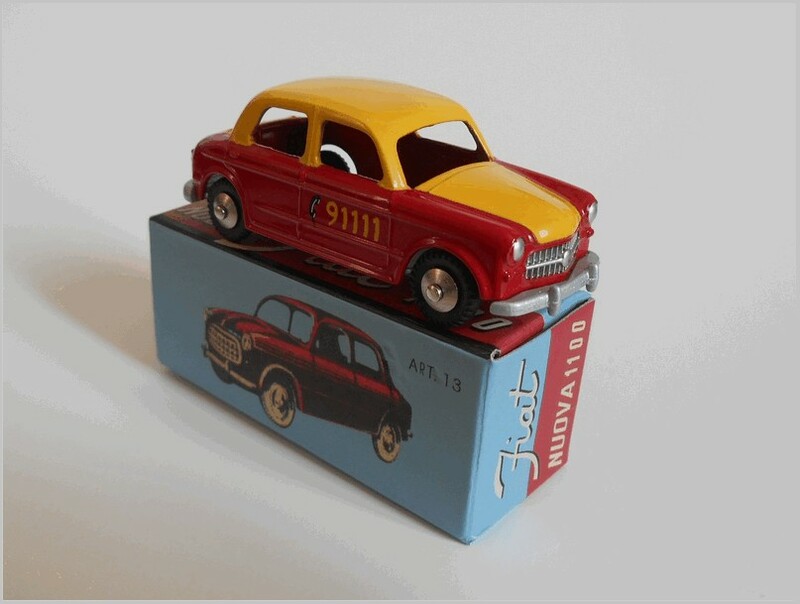 The first pattern maker for Scottoy was Dr Pezzini, using techniques and materials from his dental practice to modify castings or add pieces (such as taxi signs). These elaborations led to the question, are they Mercury or not? 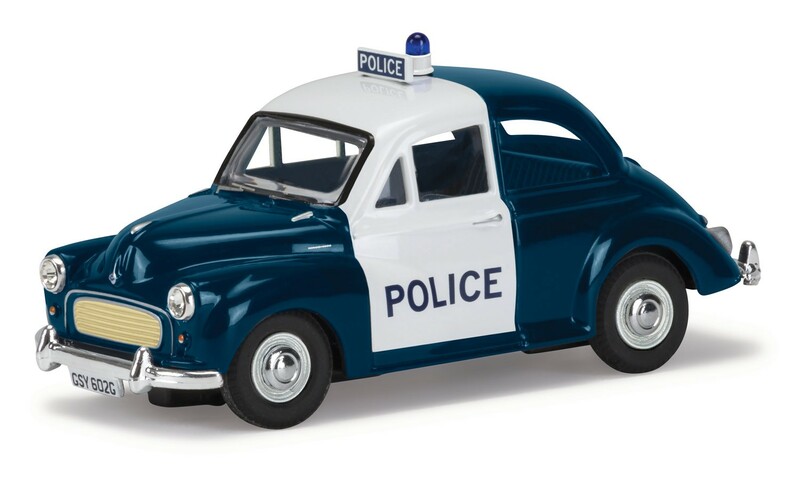 We just described the Scottoy range as 1:48 models in the style of the fifties and sixties, adding police, fire or taxi versions as demanded by modern collectors, continuing in the spirit of Mercury. From 1998 we made non-Italian cars; Beetle, Continental, Eldorado, Golden Hawk and Bentley S3, the latter with right hand drive! 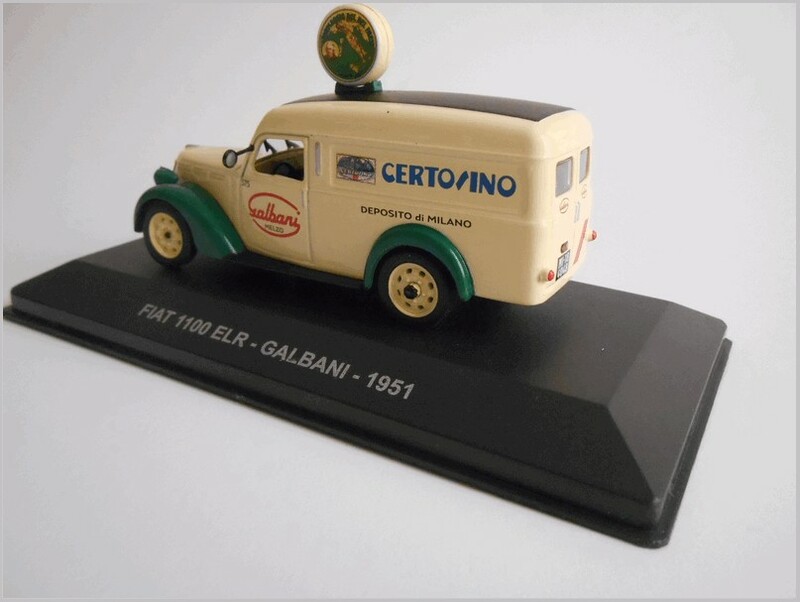 Having made big cars and little scooters, in 1999 we made a small scale model of the massive Fiat-Viberti fuel tanker from the 1950s. We planned 300 of each version. In 1999, as Scottoy was approaching the new millennium, questions arose as to our future direction. Should we go into diecast? 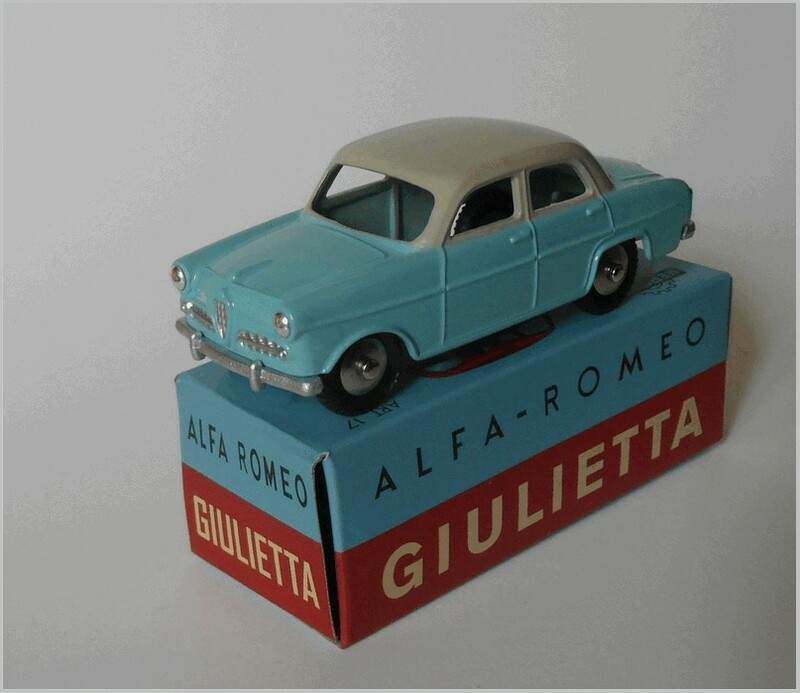 We spoke to Rio, Progetto-K and Brumm, to ensure that any new product would not conflict with their plans; and we decided to produce a 1:43 scale Fiat 850. 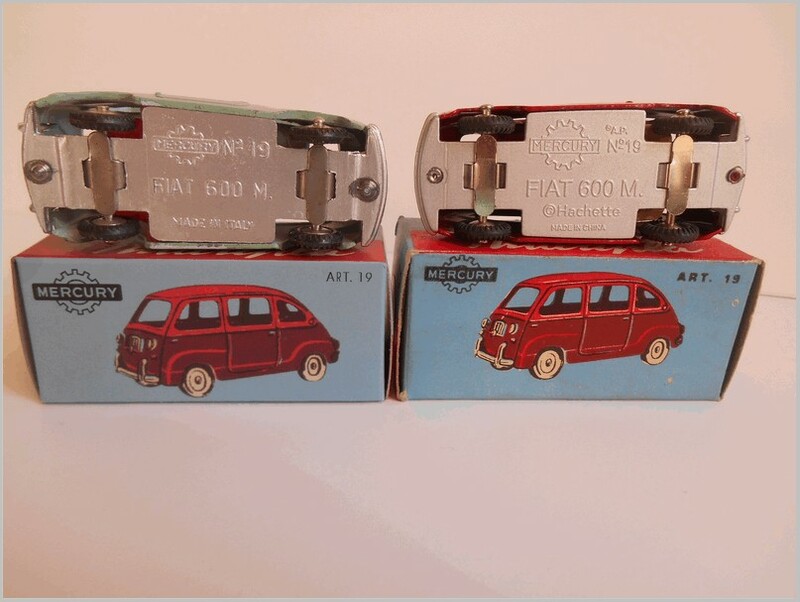 Giocher were already making the Fiat 600 Multipla and Coriasco, and could handle the 850 parts, so Faustino Mattei made a prototype, and we calculated that tooling costs would break even at 15,000 pieces, if we could sell them. The birth of TelModel! 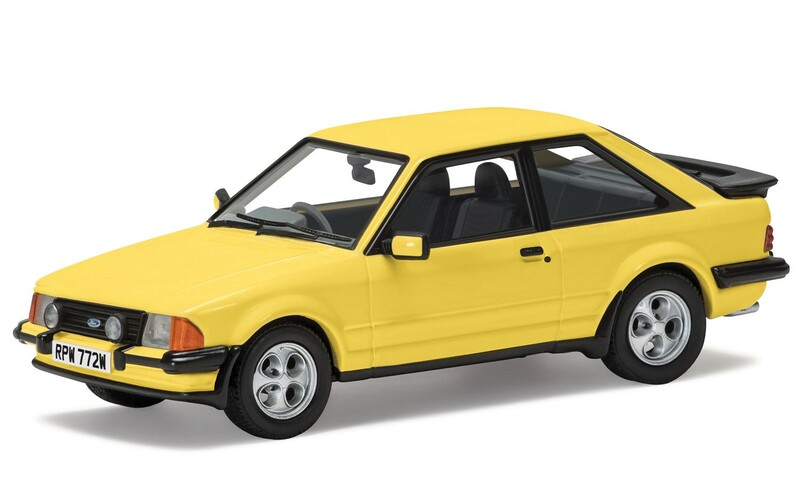 The 850 made less concessions to the ‘Scottoy style’ but continued the Mercury sixties approach, with a minimum of components, unlike many current ‘handbuilt kits’ with too many parts. PR11 Alfa Romeo F12 Bufab Norge White promo 1998 - 300. These Alfa vans all on base of Off '43. PR15 Alfa 'Romeo' van BEA Nederland White, blue top 1998 - 50. 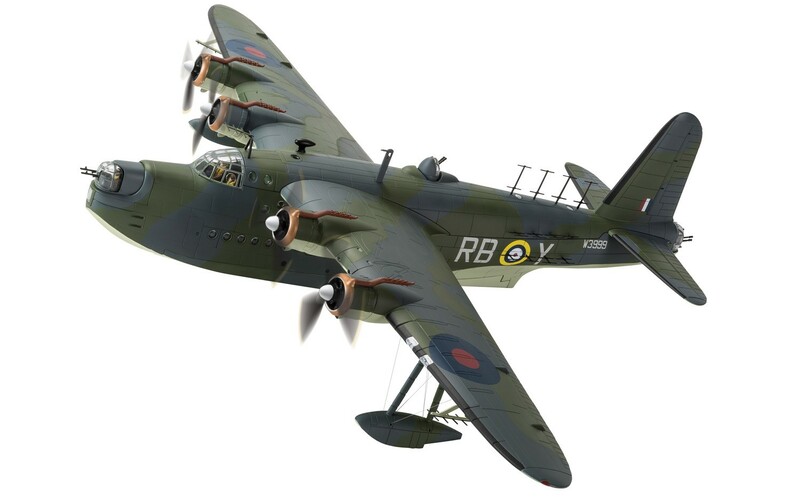 All on Off '43 base models. PR17 Fiat 1100E van BEA Nederland dark blue-white 1999 - 50. On R177. 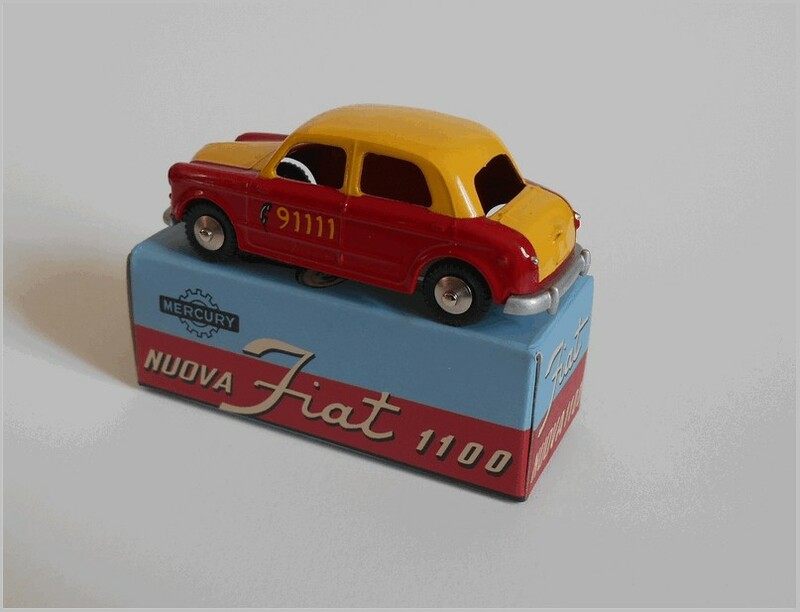 PR18 Fiat 1100E IPS  yellow-black 2000 - 350 R177. 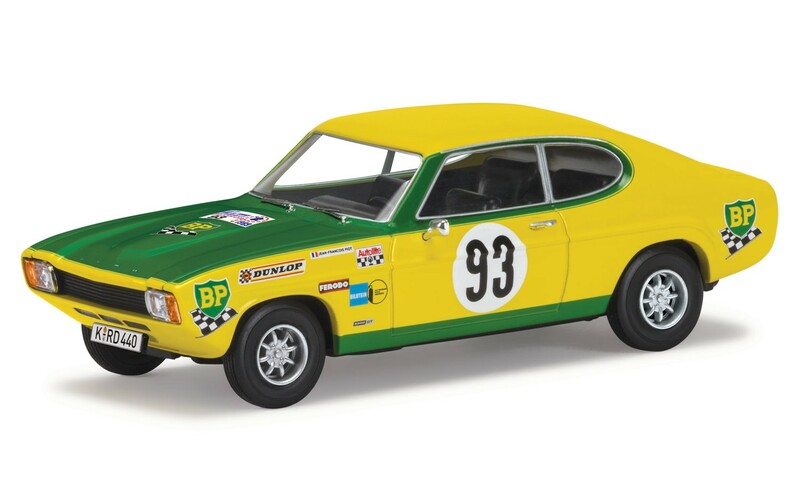 PR19 Fiat 1100E Maitech USA yellow 2000 - 350 R177. PR20 Fiat 1100E Bufab Norge green 2000 - 450.R177. PR23a Fiat 600 Multipla BEA blue-white 2000 - 170. Promo on Brumm R250 first 170 with decal livery. 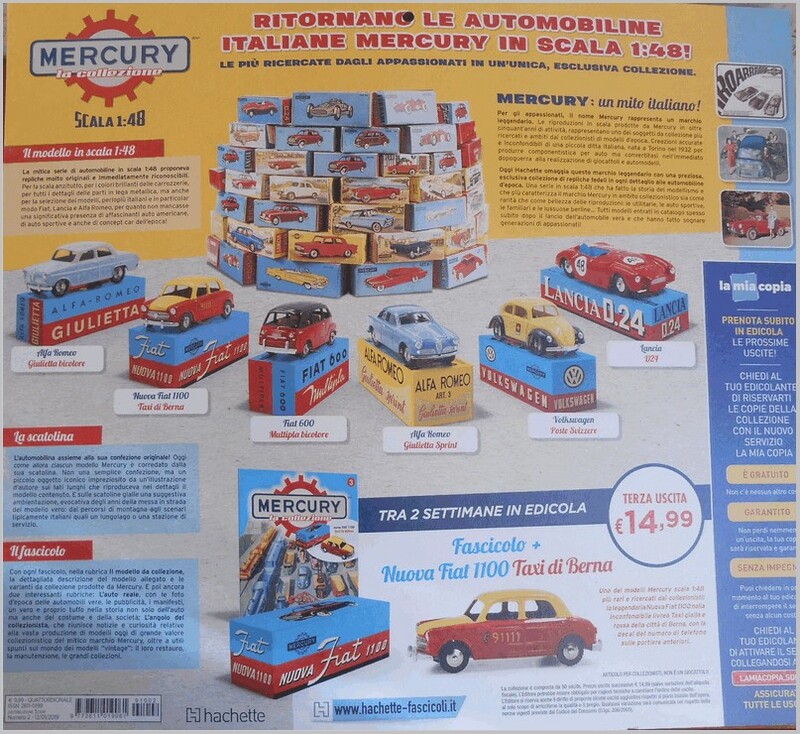 PR23b Fiat 600 Multipla BEA blue- white 2000 - 130. Brumm R250 tampo printed. 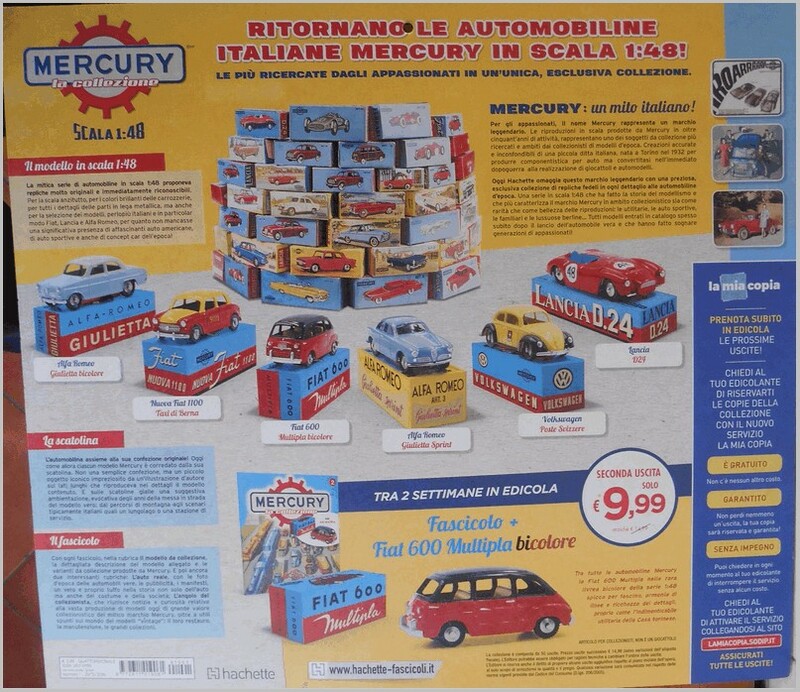 PR24 Fiat 600 Multipla BEA Nederland Blue-white 2000 - 50. On Brumm R250. PR25 Fiat 600 Multipla Saudi BEA blue-white 2000 - 100. On Brumm R250. PR44 Fiat 1100E Dental Ambulance Dott Pezzini Genova beige 2004 - 44. based on Brumm R179, modified by Scottoy with approval of Brumm. 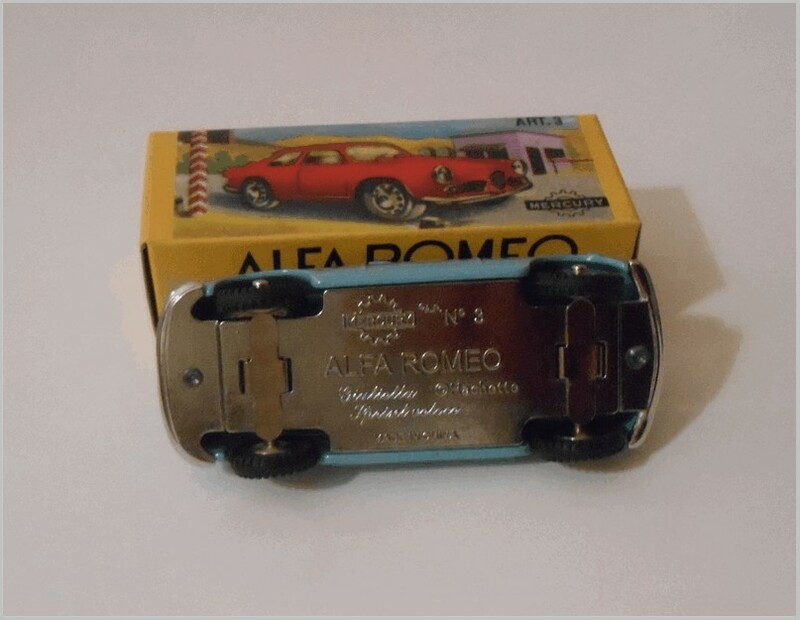 BS025, S04/17A, PR49 Alfa Romeo 158 F1 BEA Nederland dark blue 2004 - 50. On Brumm R036. 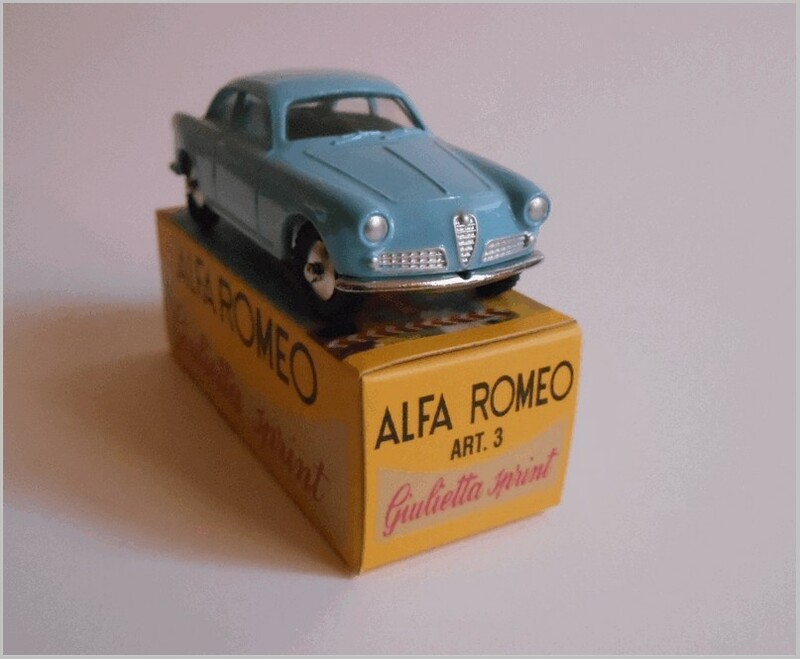 BS026, S04/17B, PR50 Alfa Romeo 158 F1 Saudi Bea dark blue 2004 - 75. On Brumm R036. 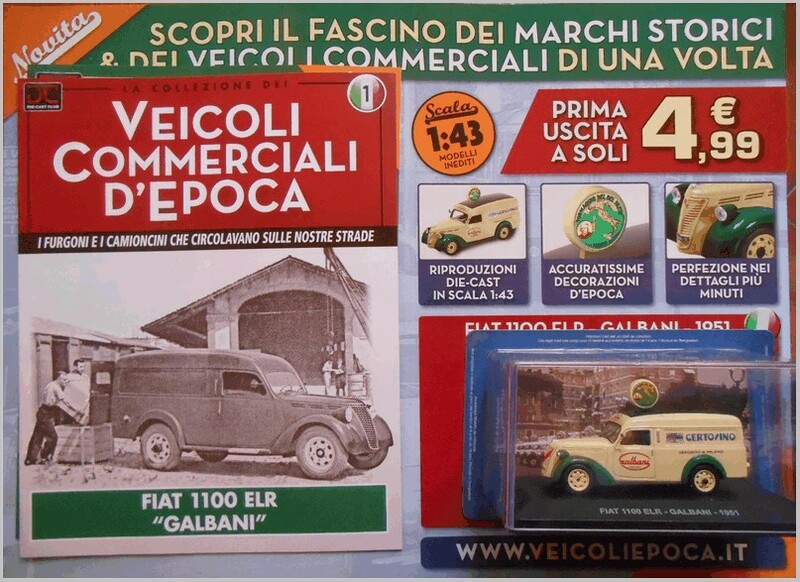 BS027, S04/17C, PR51 Fiat 1100E van Glamal Engineering silver-dark green 2004 - 320 Brumm R177. 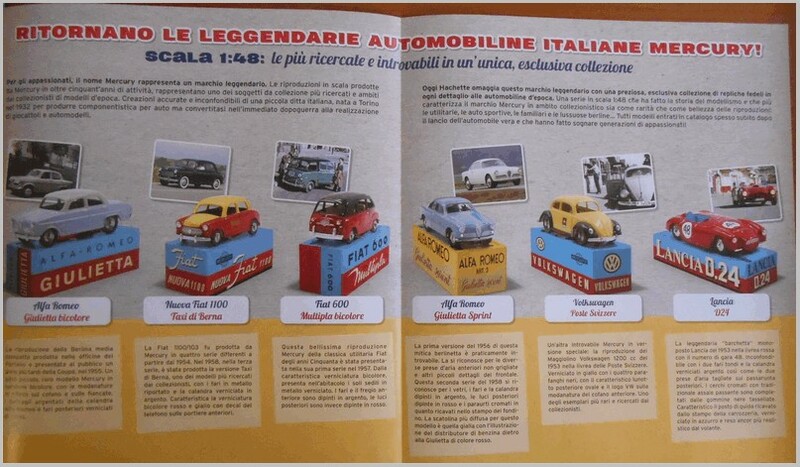 Our first collaboration with another maker to produce promo models was with Off ’43, but from 1999 we made an important link with Rio Tattarletti of Brumm, with whom we produced 30 special issues in five years, including major issues for Poste Italiane. 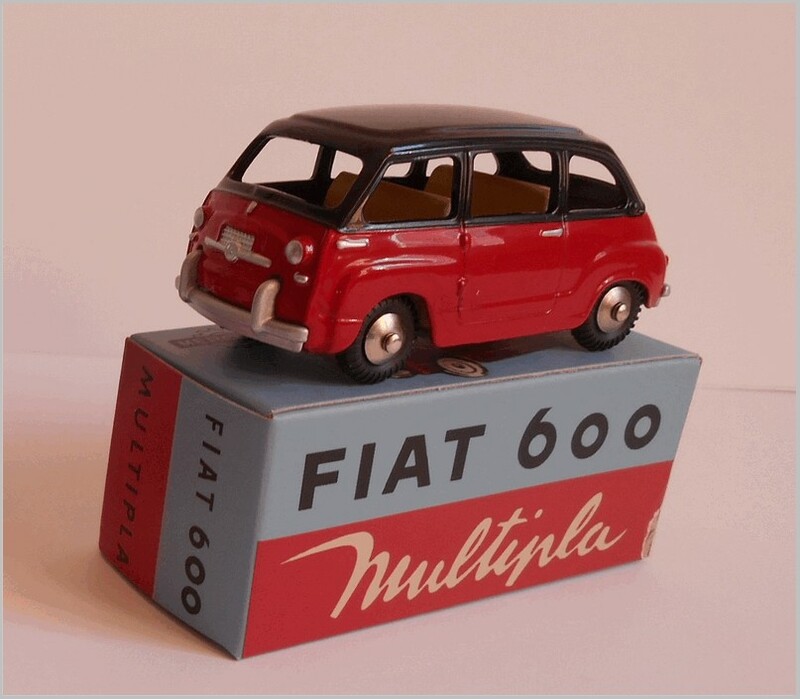 For the tenth anniversary of Scottoy we made a new series of the Fiat 600 Multipla. 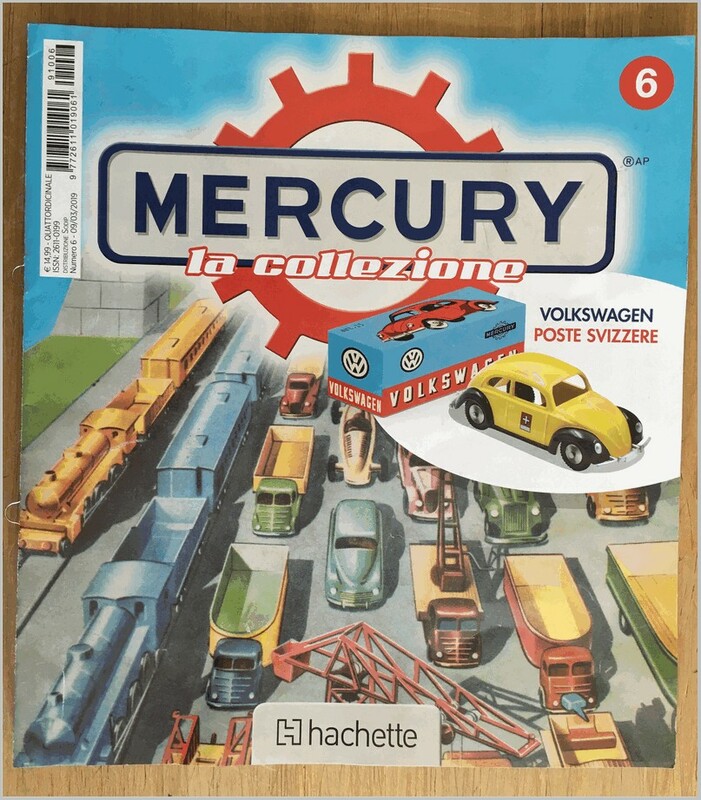 Other plans include the Mercury 2000 series in 1:43 scale, such as the Fiat 124, 125 and 132, in many versions, and Fiat 682 truck. 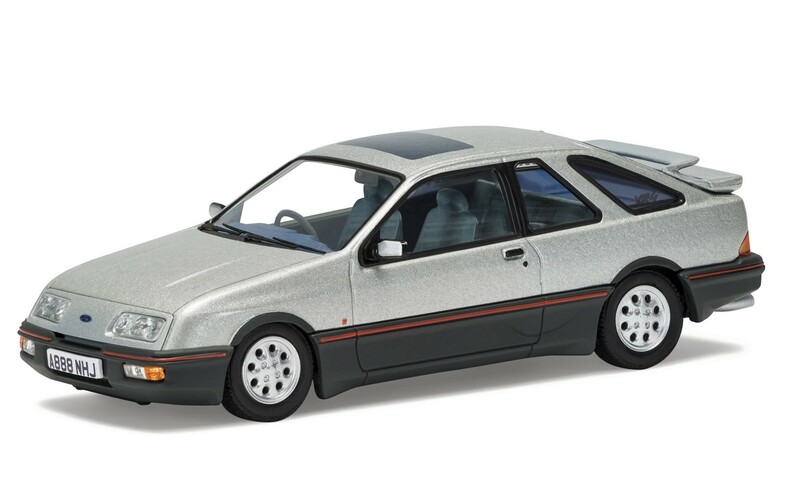 Tel Model plans include Fiat Ritmo five door and Fiat 1500. 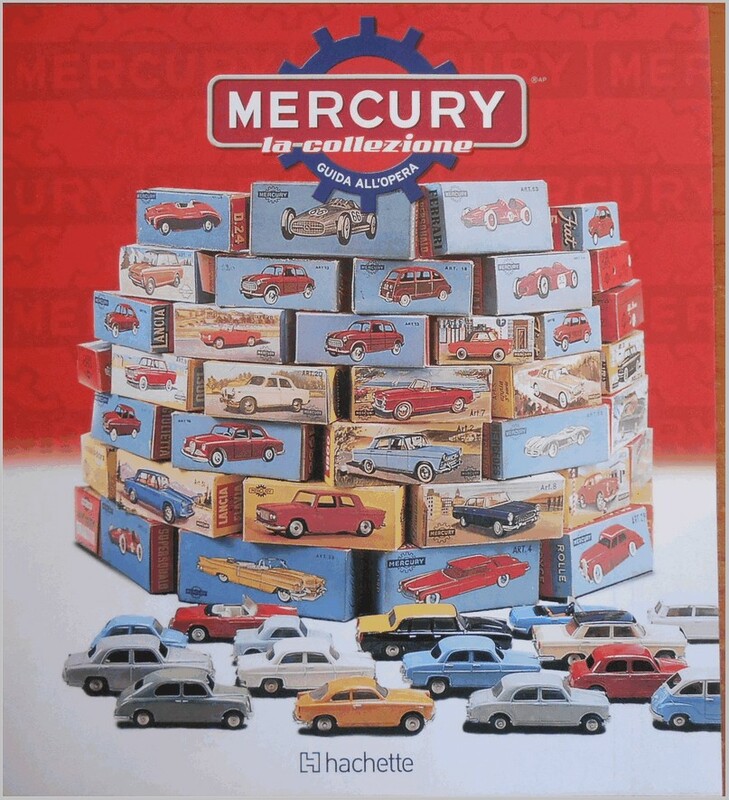 Mercury classic models in the 1:40 Series, limited production. 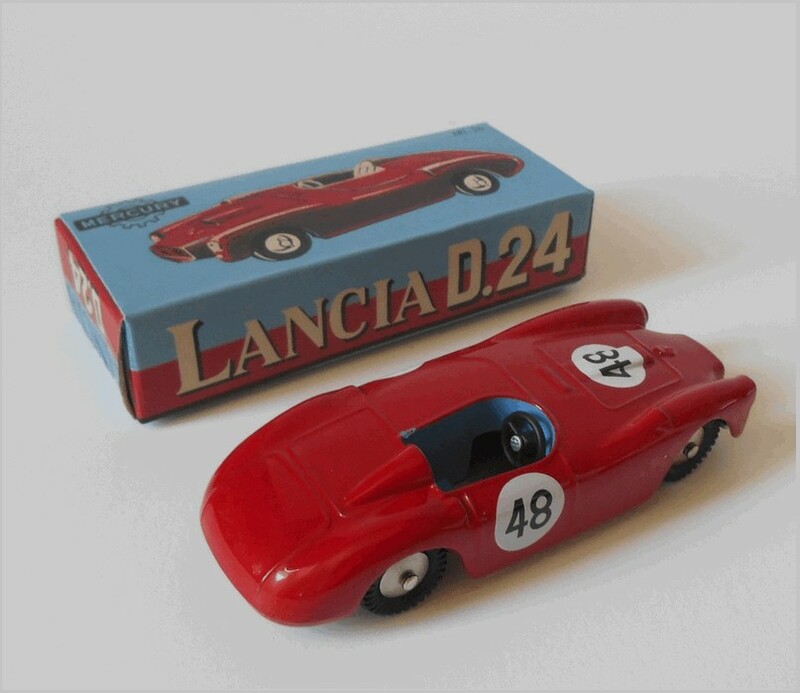 New Scottoy models made from the end of 2004 include the Bianchina Panoramica, the Fiat 1100/103E (central light), the Lancia Flavia and the Fiat 1300. CLM Hitech di Genova, Messrs Destrero and Lavagetto, Grifo fusioni, Mr Ivaldi, Beniamini prototipi, Elettren Castellanza, Bruno Boracco, L’Aquilone Torino, Bruno Romano, Scatolificio San Giorgio, Genova, Alfredo Albertini, Ruoteclassiche and Quattroruotine, Danilo Castellarin, Modelli Auto di Duegi Editrice, Modelauto UK, Rod and Val Ward Modelshop Cana, Japan , Bruce Sterling Toys, USA, La F1 del Modellismo di Franco Spreafico, Lorenzi Modellismo/U.A.N. S.a.s. 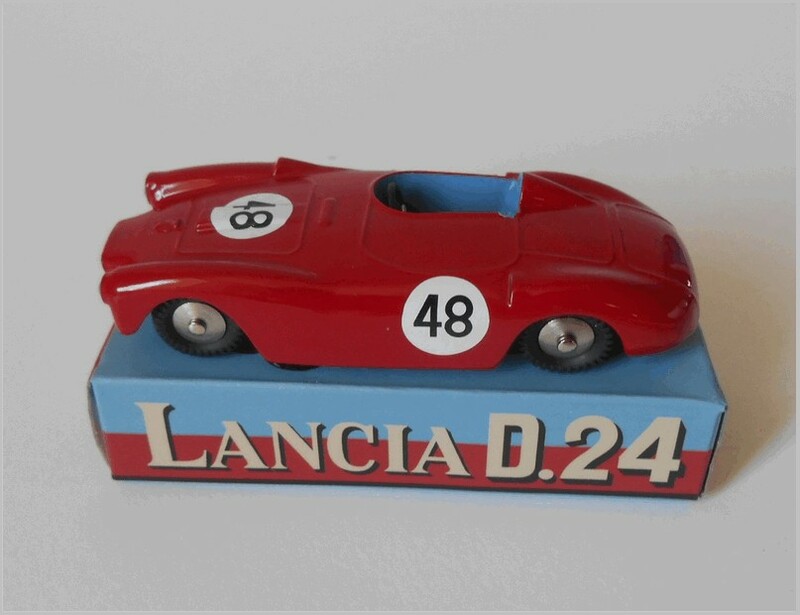 di Agostino Zacchello, Bianchina Club, Dr Viceconte, Alessandro Rigatto, Lancia Club Olanda, Mr Okke Mouissie, Formula 43, Argus Miniature, M Flament, Angelo Bellotti, Giocher, Enrico Niccolini, Off ’43, Faustino Mattei prototipi, La Miniminiera di Piergiorgio Casati S.a.s, SMF AG Sonder Modell, Silvano Minari, M Models, Germac stampi, Mr. Agostino – Vamarplast, Mr Lino, La Tranciatura, Mr Bosoni, Effegi, Mr Arnaboldi, Torneria Automatica, Mr Maverna, Microfusioni Artistiche, Mrnora Folli, Silvia Cucchi, Zanchetti decal, Mr Sanchetti, Bea Srl, Mr Antonini, Bufab Norge, Mr Willy Jensen, Brumm, Rio Tattarletti, IPS Srl, Mr, ra Morra, Maitech International, J B Kale, Foritex srl, Mr, Bollani, Poste Italiane Spa., Piaggio France SA, Top Model, Pasquale De Stasio, Francesco Calabro, Auto d’Epoca … Everybody else who I forgot to mention … And all collectors everywhere. As announced in MAR 207, I have handed over my part of Scottoy to my friend and partner Antonio Pezzini, so my role in the company has finished. It was a difficult decision, but after 13 years I decided that it was time to finish and spend more time with my family and personal life. Good Collecting! 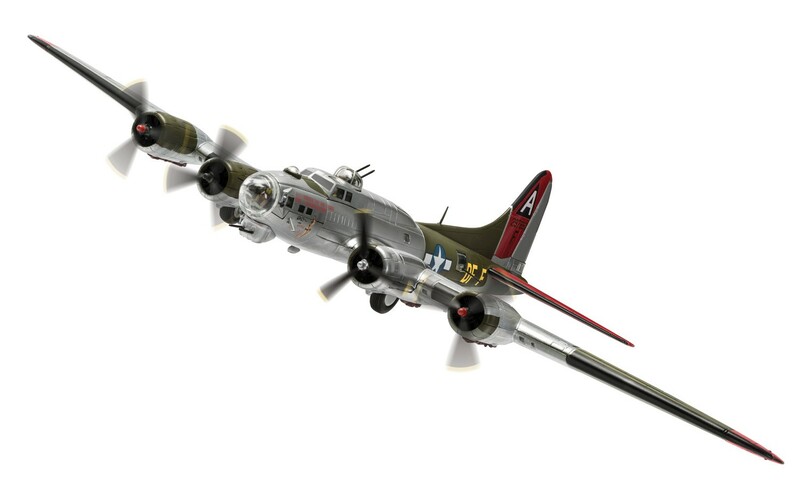 All pictures used to illustrate this article are from Corgi’s web site. Most are mock ups or 3D renderings rather than examples of the final models. 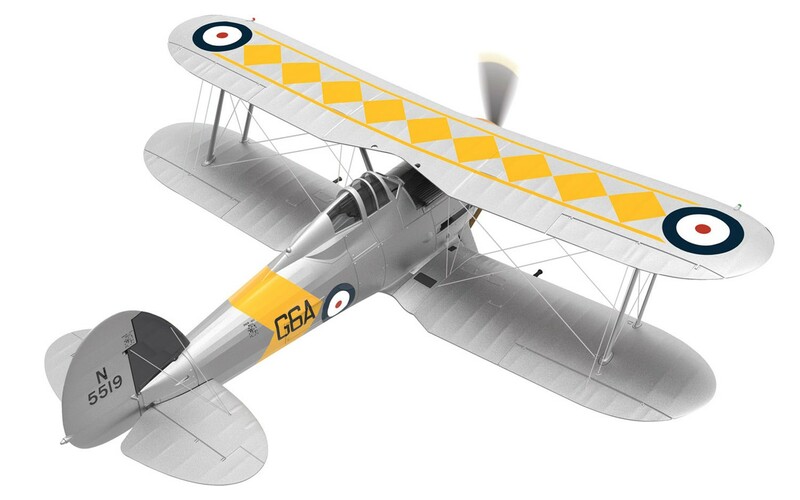 I make no apologies for starting this article with news about the Hornby Hobbies business as June is not only when they announce the second half models but it is also their financial year end. Already this year we have seen the company drop its plans to build a visitor centre to replace the one lost when they sold their headquarters site. This was followed in April by a major shareholder, New Pistoia Income Limited, calling for the removal of Roger Canham the Executive Chairman. 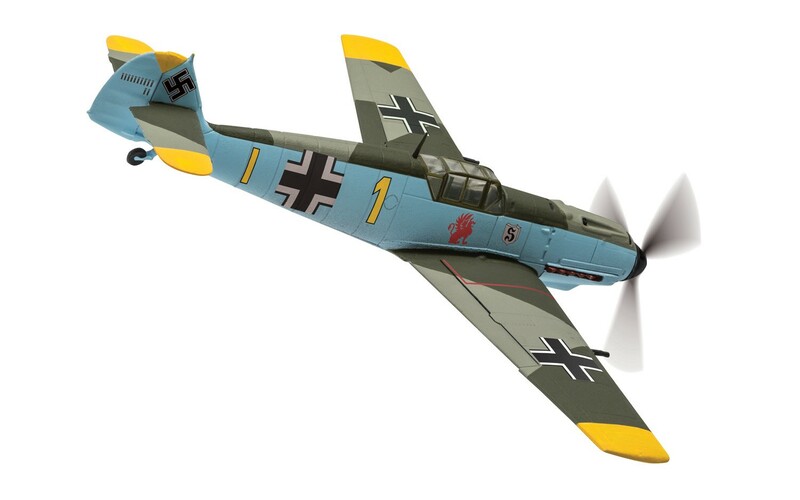 Before the Annual Results New Pistoia decided to cut their losses and sold the 20% they held in Hornby hobbies for 32 pence a share to Phoenix Asset Management Partners the biggest shareholder who now have 55% and have now to offer to buy any other shareholders shares at 32 pence. Whilst all this upheaval took place the annual results were announced and the CEO/Chairman Roger Canham’s resignation as well. A growing underlying pre-tax loss of over six million pounds was widely reported in the Financial columns. Whilst their cash situation has significantly improved this will still leave them little capital to invest in new products so only the fast selling products with the highest level of margin will get any investment. The shareholders have not had a dividend for several years now and the shares values have flat lined over the last year so they are all losing money on the shares which cannot go on for ever. 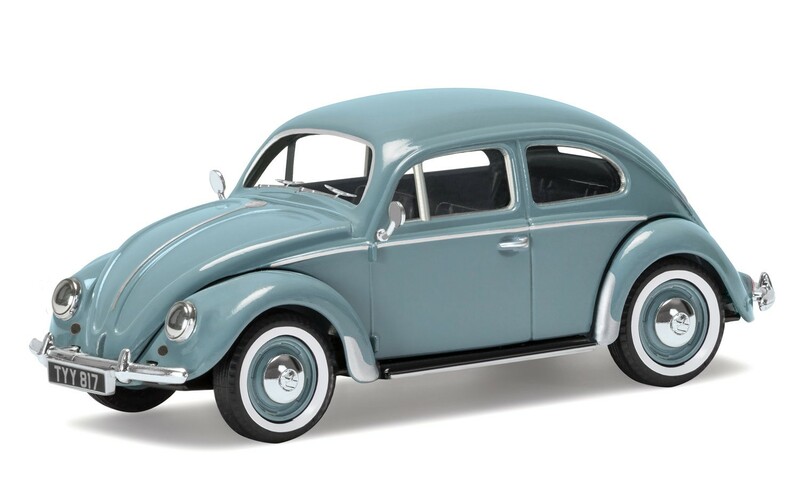 Why does this matter to collectors of model vehicles? 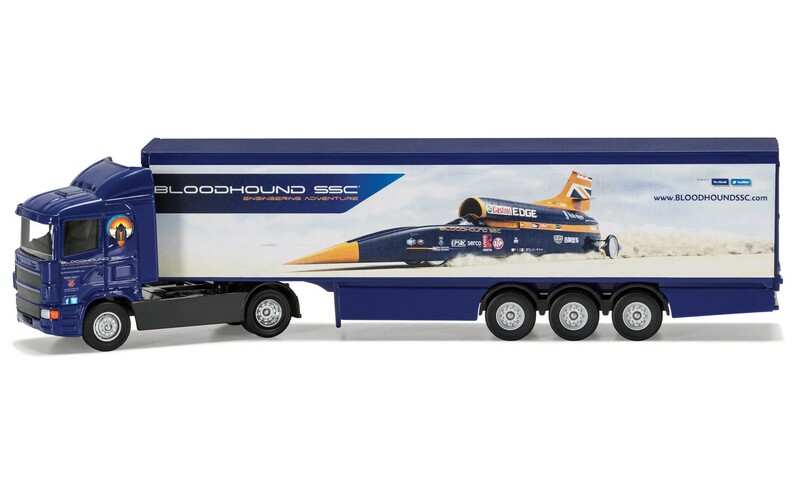 Well Corgi is hardly mentioned in any discussions of Hornby at all and apart from the 1:48 Lightning model investments in new mouldings are non-existent apart from a single 1:50 truck not even listed in the second half release section of their web pages. The company states that its turnround is well under way with a belief that all UK brands have been maintained despite all the cost cutting measures taken, lower sales, and restrictions in the sales channels they are servicing. I am not sure that that does not count as what are now known as “alternate facts”. Collectors are right to be uneasy when they see that the Corgi brand is not mentioned once in the plans for the next stage of the turnround. It is against this background that Corgi announced their July to December catalogue. Almost everything in it is a new version of a casting already used several times in the past. 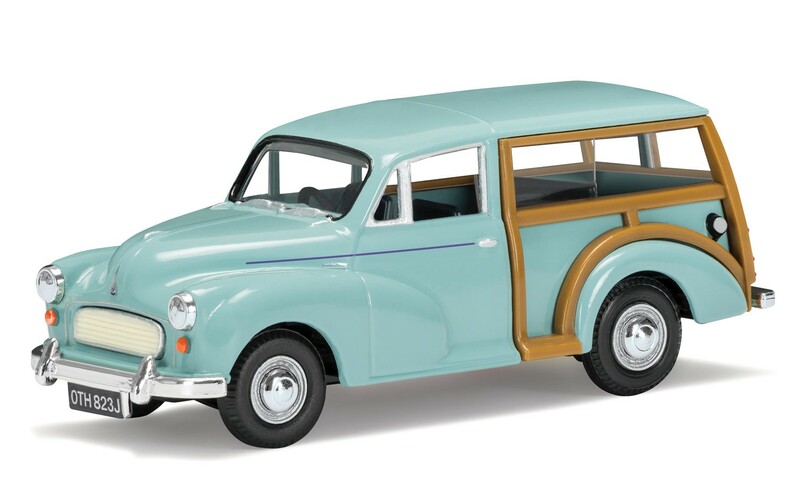 Some castings like the Vanguards Morris Minors and Mini are now several generations old and simply not up to the standards of Oxford Diecast, or PCT made models for part works or ranges like Whitebox. Looking at the Corgi Forum the posts about the new releases are mostly negative which I know reflects several MAR Online readers views as well. 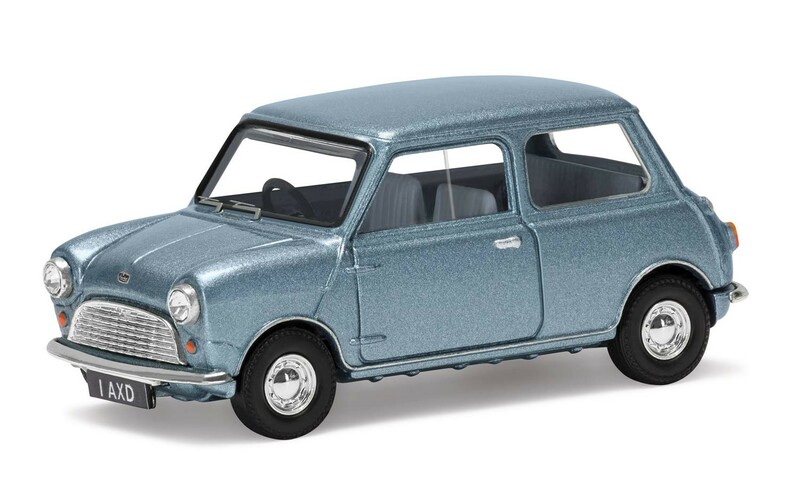 Corgi have not even listed some models on their web site that Hattons has listed like the re-released Basil Fawlty Austin or yet another Mr Bean Mini. I believe that the situation is clear: Hornby has no intention of investing in any significant level of new tooling for the Corgi ranges. 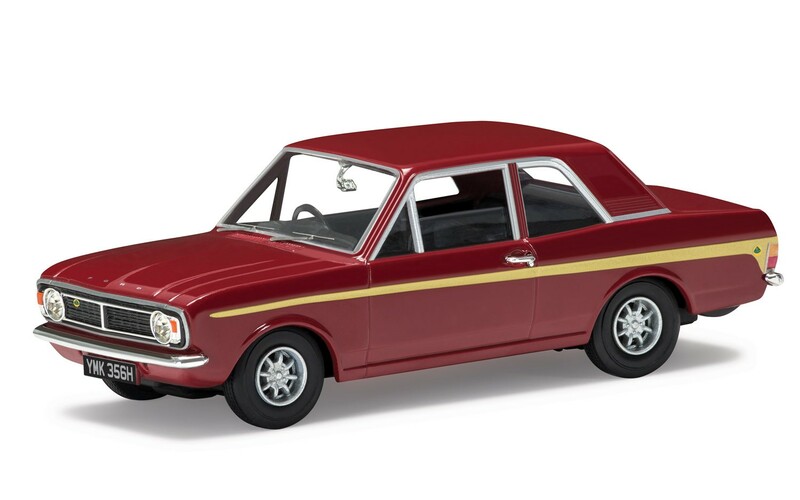 Their sole idea of keeping Corgi alive is to produce re-paints of old castings and hope that they sell enough to milk some contribution from the brand to their financial recovery. 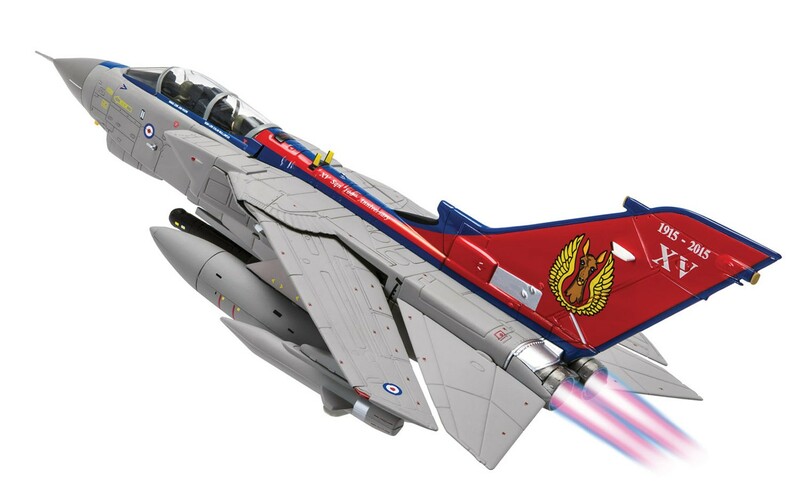 In my opinion Corgi is now a spent force and Hornby is deluding itself if they expect collectors to pay nearly thirty pounds for Vanguards models made from ageing moulds when DeAgostini/Atlas and others offer more for less money. 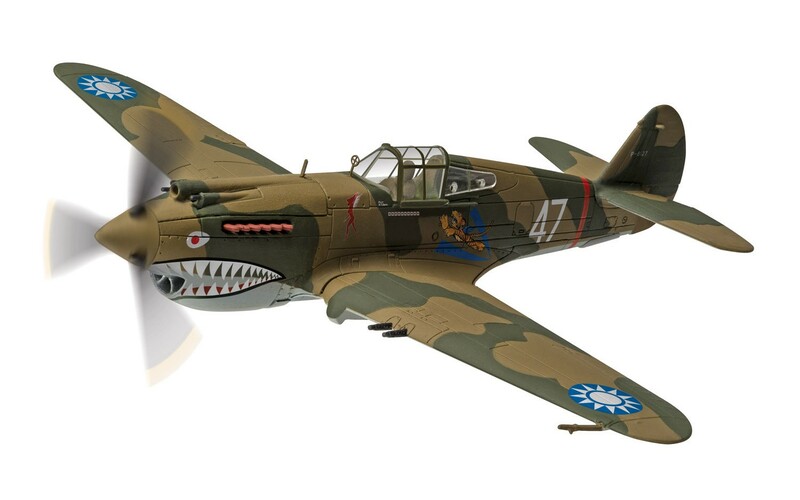 The models listed below are those listed by Corgi on their web site for the second half of 2017. Their January 2017 announcement was already reported here. 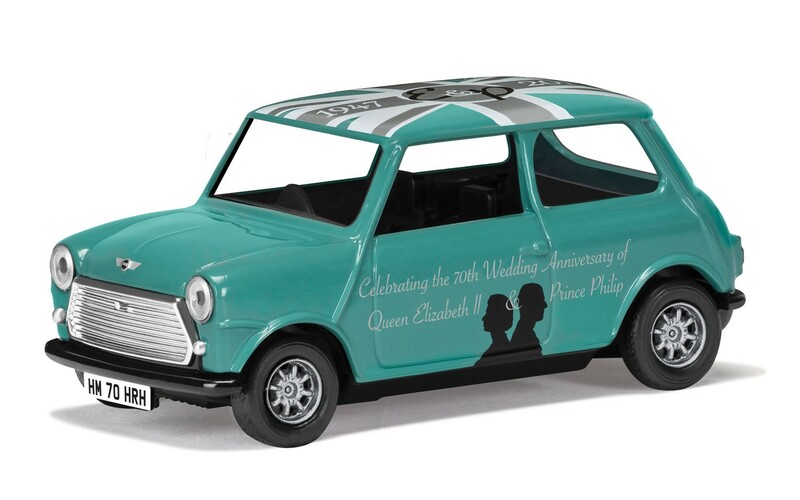 When checking a supplier website there are models available to order that are not in the catalogue such as five re-released James Bond vehicles, Mr Bean’s Mini, and Basil Fawlty’s 1100. There is also a single 1:50 scale lorry, Scania R (Face Lift) Flatbed Trailer & Brick Load “Ian Craig Haulage Ltd, Falkirk, Scotland”, claimed to be new tooling. 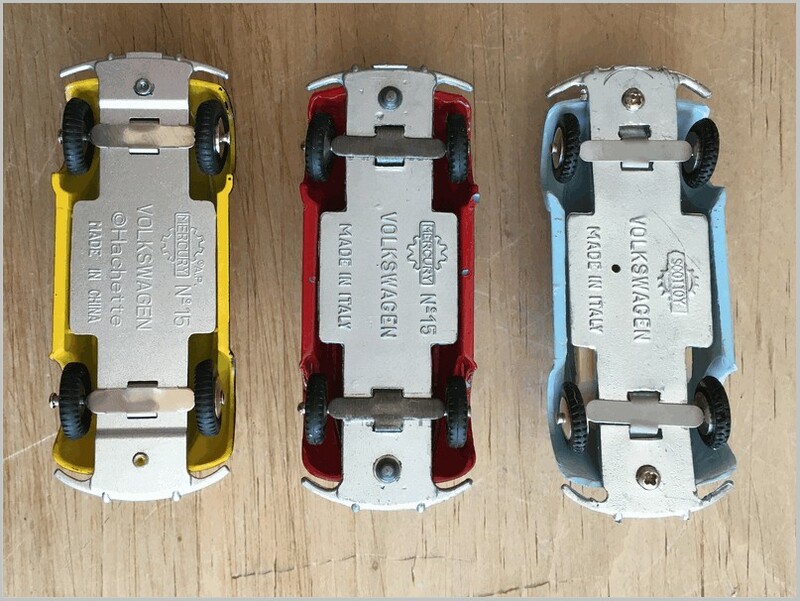 If these are new it seems strange that Corgi did not include them on their website listing. 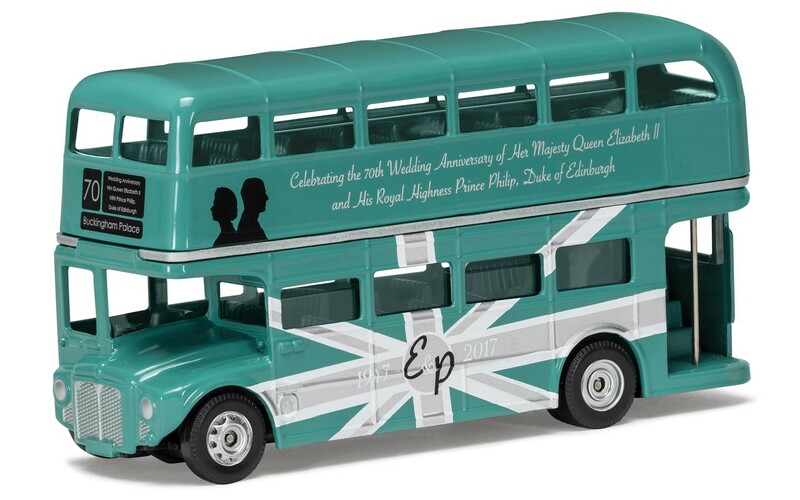 The Royal Wedding Anniversary models are crude and horrid and quite expensive for the type of souvenir shop likely to want to stock them. I can’t see collectors wanting them at all. 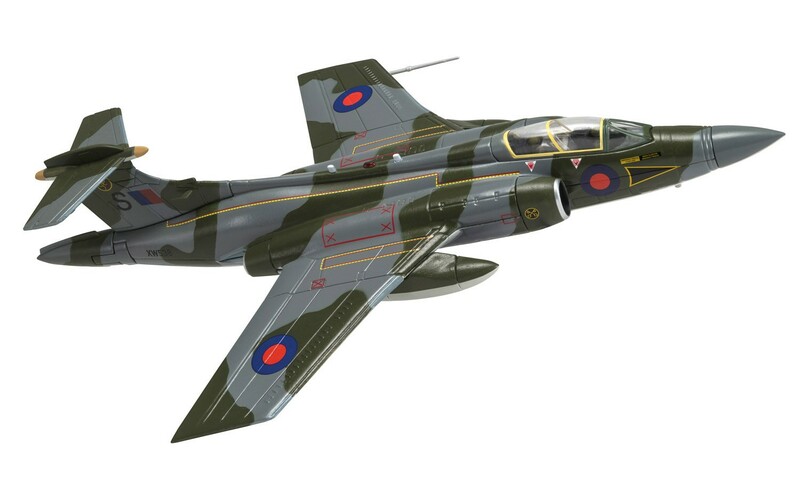 How many times are they going to release that Mini casting – it was not good when first released and looks even worse now compared to modern models? Who lined up all that awful thick silver detailing on the Minor Police Car windows? 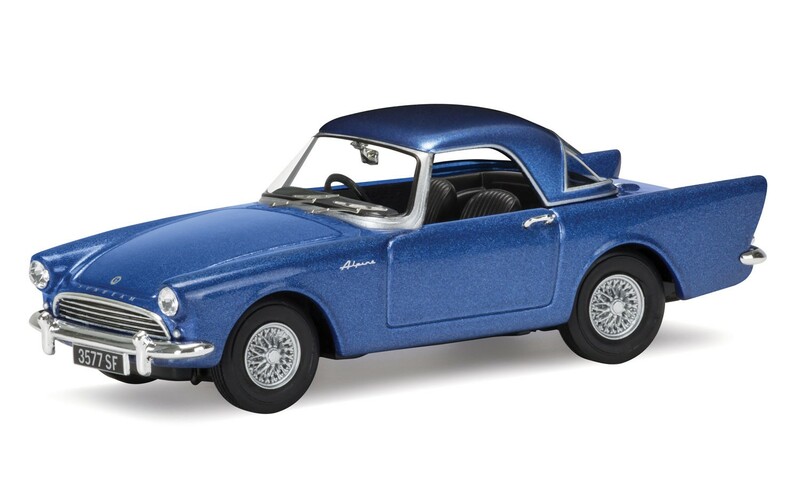 Why are they using the same moulds used already for re-paints recently so soon like the Sunbeam Alpine? Why is an “export” Rover 3500 fitted with UK number plates? 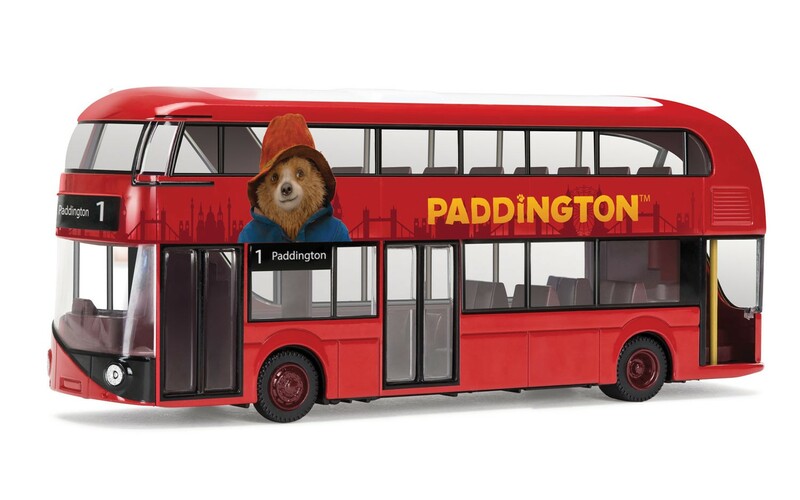 Why keep on flogging the “New London Bus” to death when the new Mayor has cancelled buying any more of them? Why keep on releasing Land Rovers when Oxford will be doing them and charging significantly less? 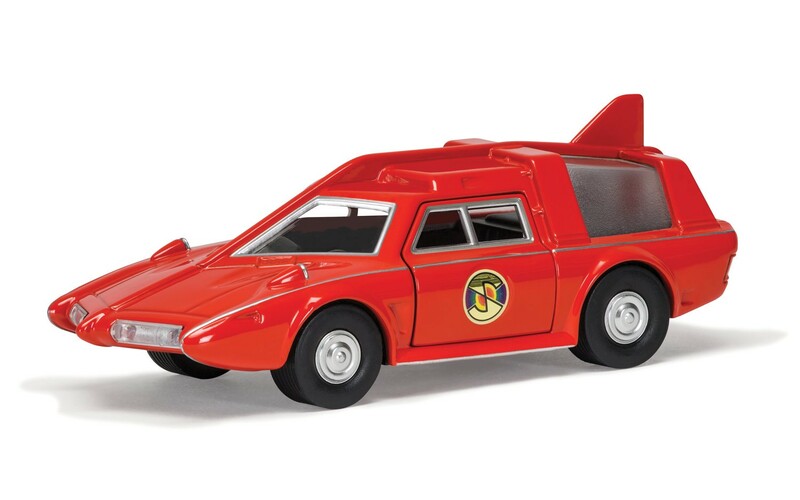 Why bother with the Captain Scarlett car? It has now slipped out of fashion again. Many earlier releases of the re-used castings are available on eBay and at Toy Fairs for much less money why buy a new one? Long time MAR readers will know that I have been a collector of Corgi models in the past and have been getting more and more restive with each underwhelming release announcement. I know many of you feel the same. I think that the thing I find most insulting to collectors is the pretence that the Corgi range is active and vibrant. Some honesty and openness about the role Hornby think Corgi has going forward would be welcome. Some of us have been Corgi Collectors since our childhood. What do you the reader think? Last thought. If Hornby can’t make anything of the range, it would surely be better to sell it to someone else who can? As we have come to expect the latest in this series from Atlas is another French Dinky replica seen already in the Continental Dinky collection. 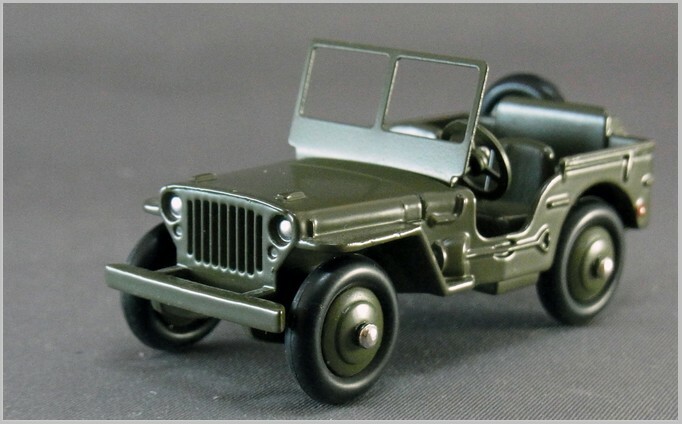 The Hotchkiss Willys Jeep 80b. For once the Postman had no problems delivering this through the letter box. 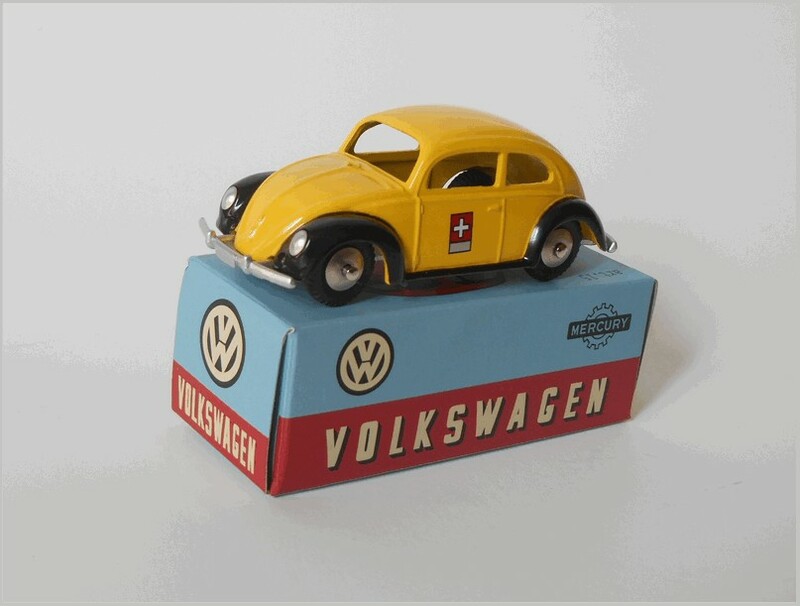 The box seems tiny compared to other vehicles in this series at only just over 7cm in length and under 4cm in height. 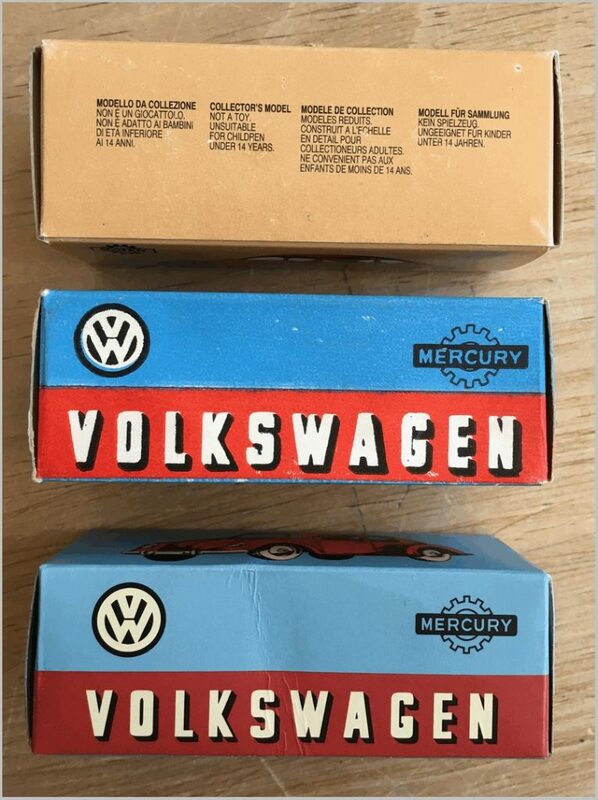 The Atlas replica box may convey the spirit of the original but the end flap is re-arranged as some text has been removed, “C’EST UNE FABRICATION MECCANO” the lowest line on the original box is absent. 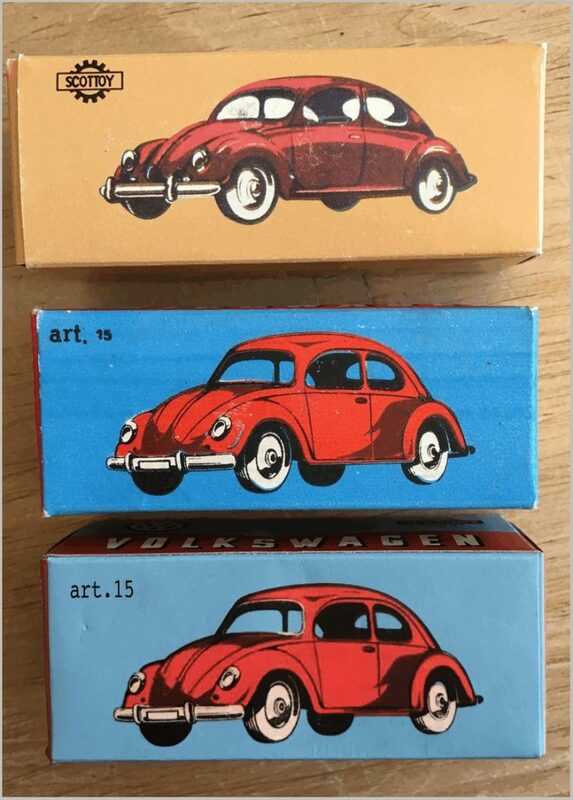 In addition French Dinky credited the artist who created the box art but on the reproduction the signature of J. Massé is absent. 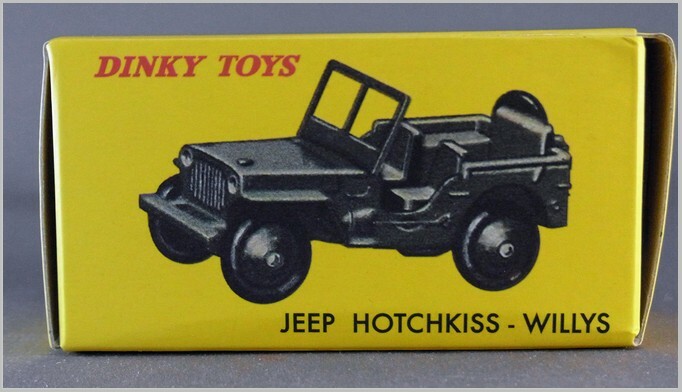 Hotchkiss made about 32,000 Jeeps under licence from Willys in France until the mid 1960s. Production was originally at a factory in St. Denis in Paris but was later moved out to Stains which is a suburb to the north of Paris. 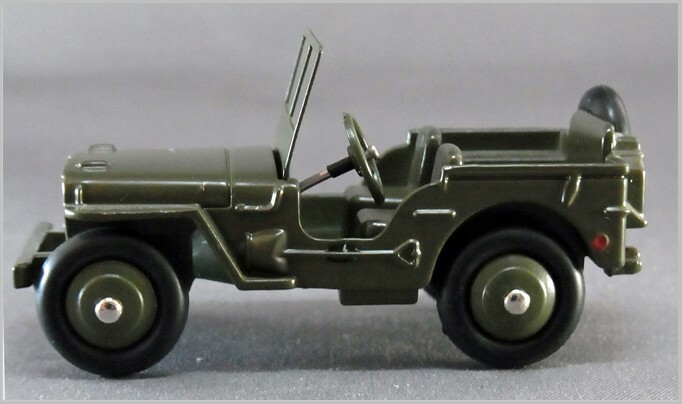 It would appear that these were largely assembled from parts taken from Jeeps left in Europe when the US forces went home after the Second World War. 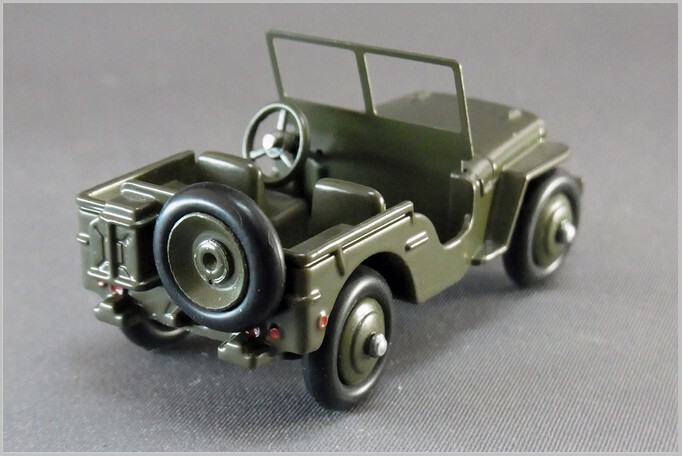 French Dinky had already sold a WiIlys Jeep as number 25 J in the early 1950s but I believe that this was the same casting as the Dinky UK Jeep which is considered to be less accurate than 80b. 80b was introduced in 1958 and was short lived being re-numbered as 816 in 1959. 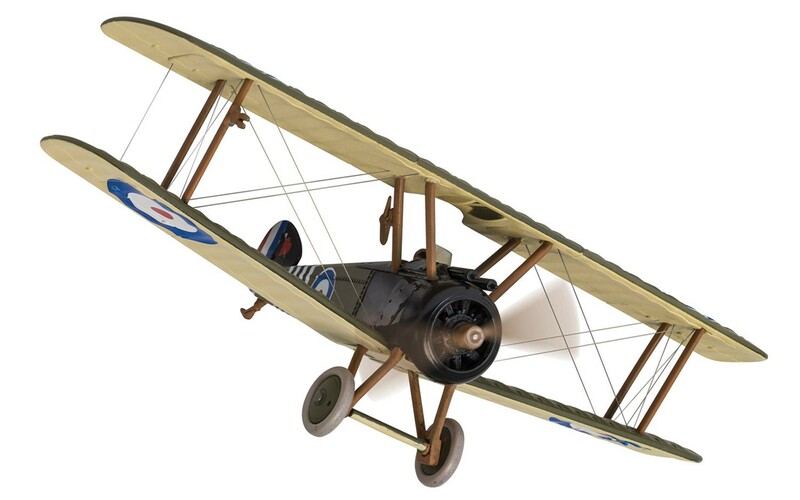 Some models were fitted with a driver but this replica is not and there is no hole in the casting for one to fit in either. 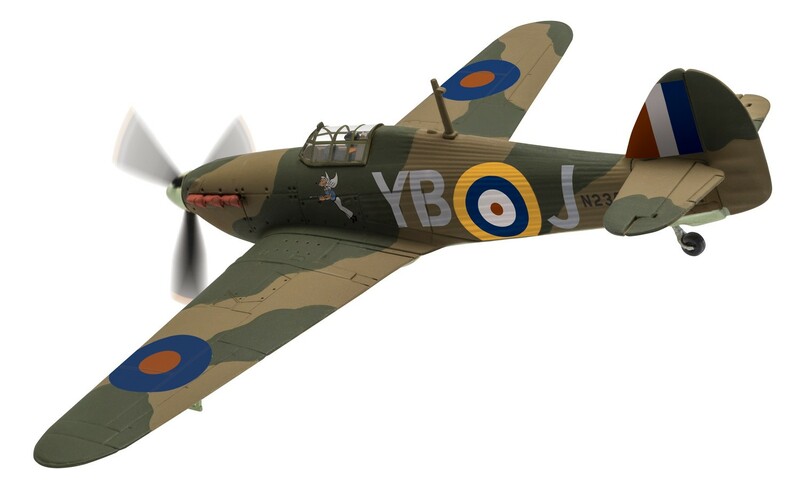 This replica has lovely even matt paint and the lights are neatly coloured. 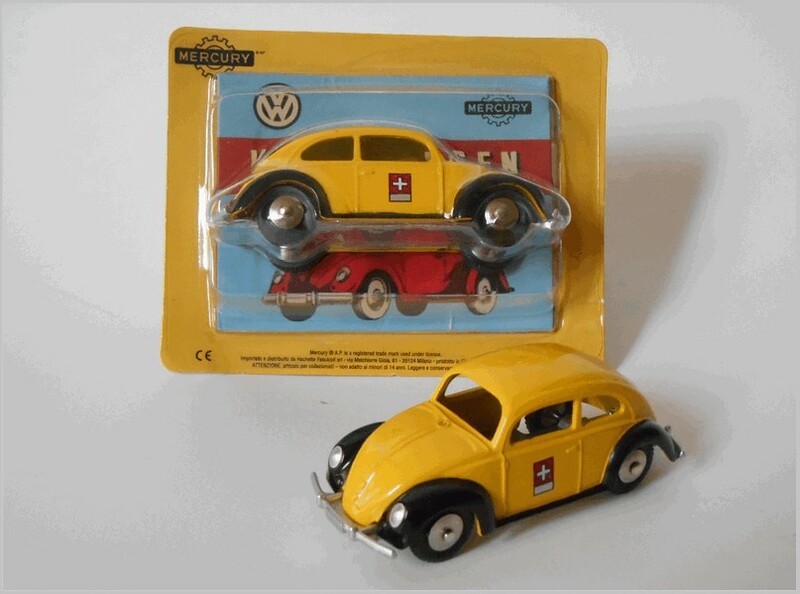 The tinplate screen is well replicated and the three spoke steering wheel is on a delicate shaft. 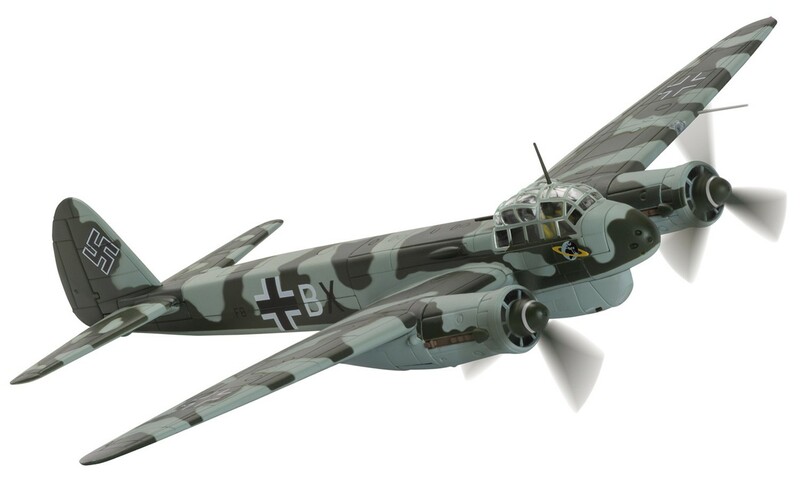 The scale of this model is said to be 1:48.